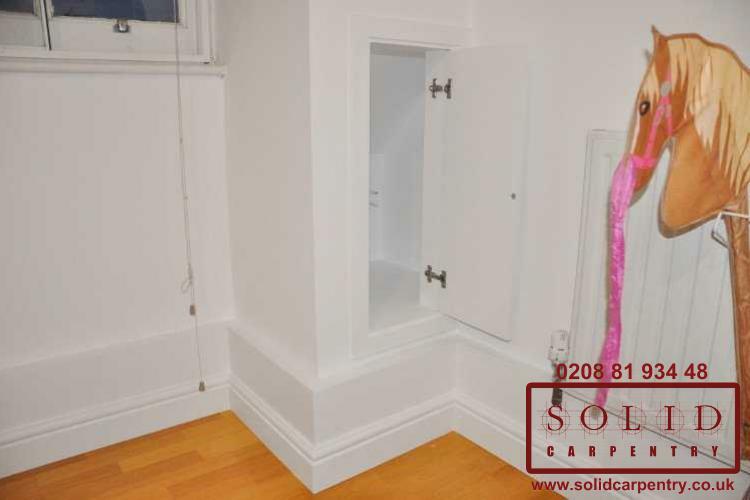 Tired of looking at unsightly pipes emerging from your boiler? 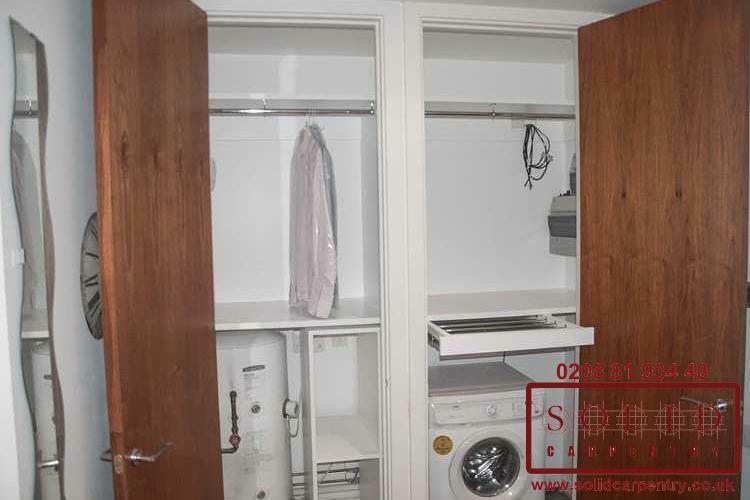 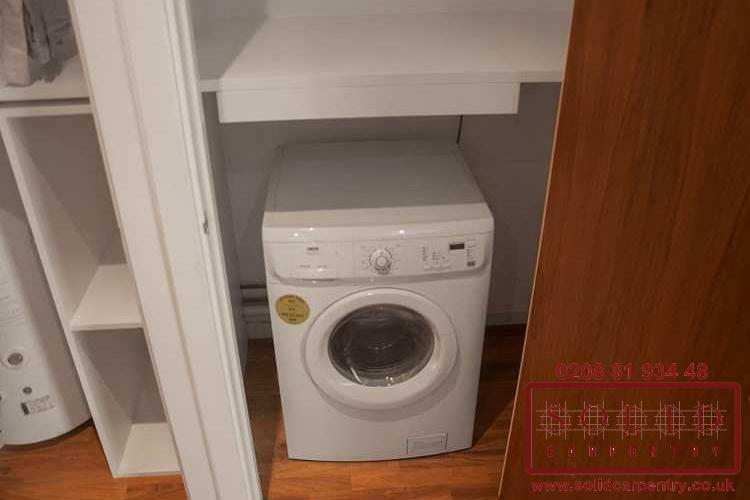 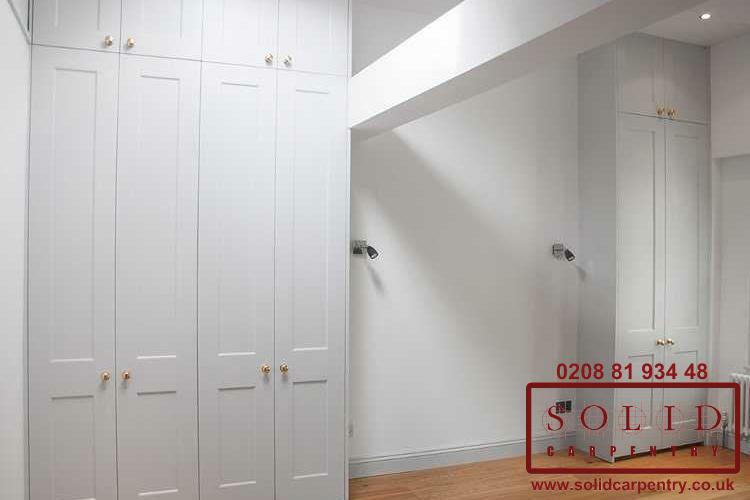 A made to measure boiler cupboard can effectively conceal all plumbing imperfections and improve the overall look of your home. 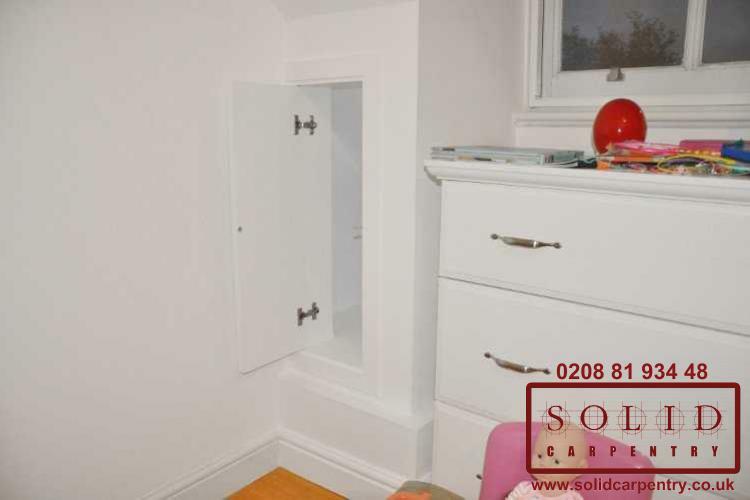 If the boiler flue is hidden, inspection hatches will need to be fitted otherwise the boiler will not meet the correct safety standards and you will fail your annual gas safety check. 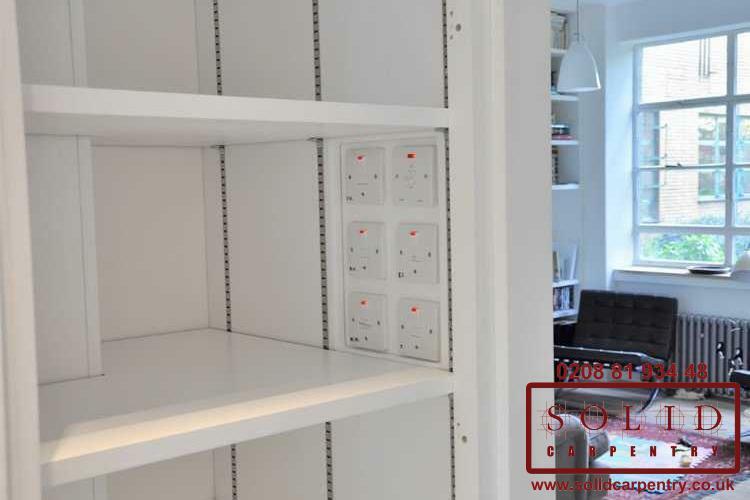 In that event you would have to turn it off until inspection hatches have been fitted and another inspection is carried out. 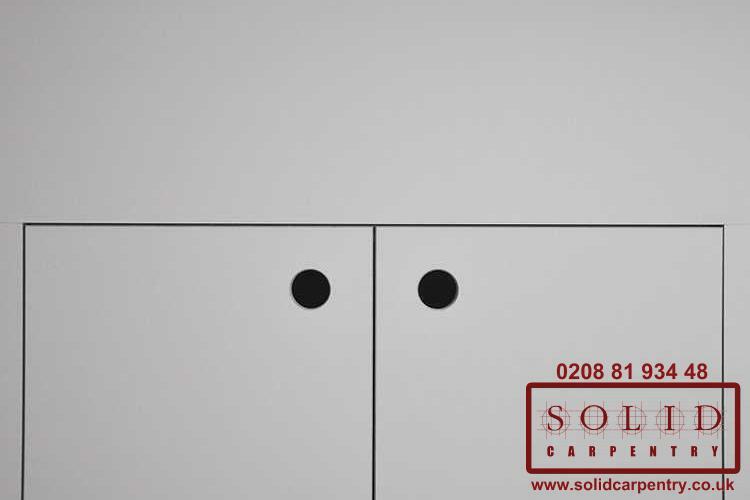 However, this is likely to only affect boilers that are mounted on internal walls - where the flue will be probably hidden behind a wall or ceiling - if the boiler is on an outside wall, it is unlikely to be affected. 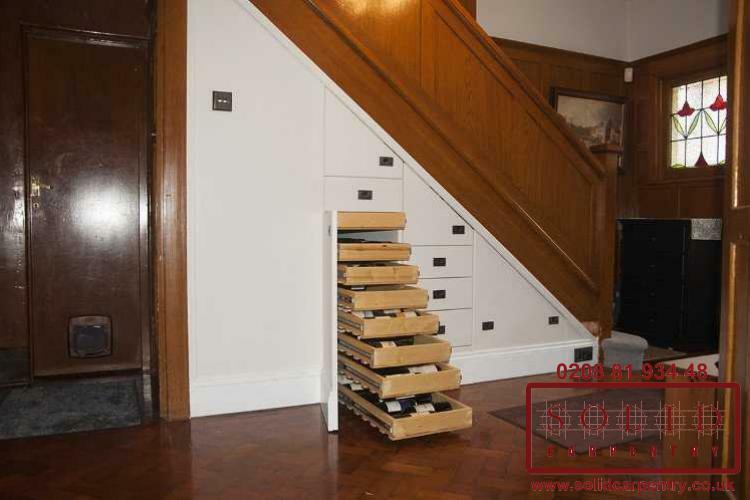 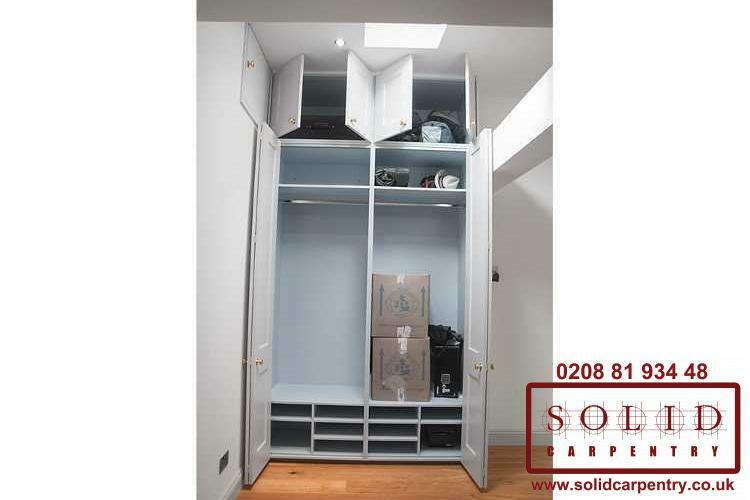 The design - and materials - of the boiler cupboard is important if it is to genuinely enhance your home's interior. 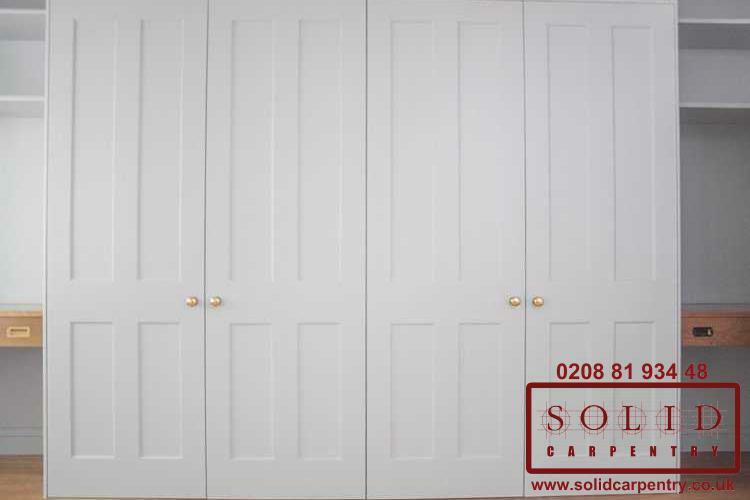 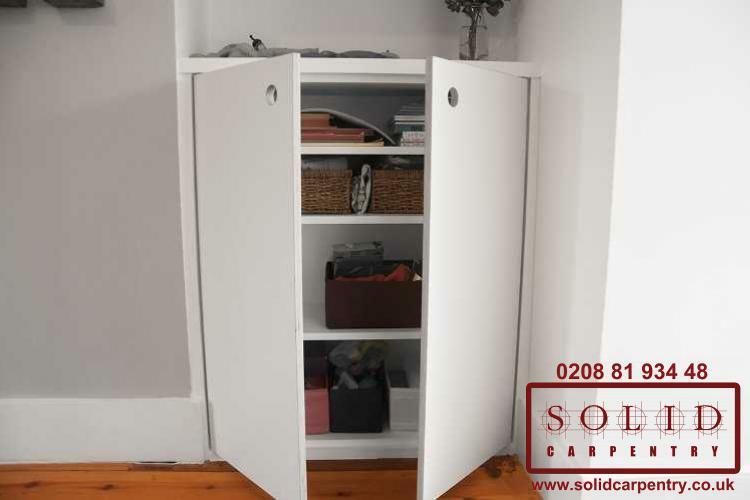 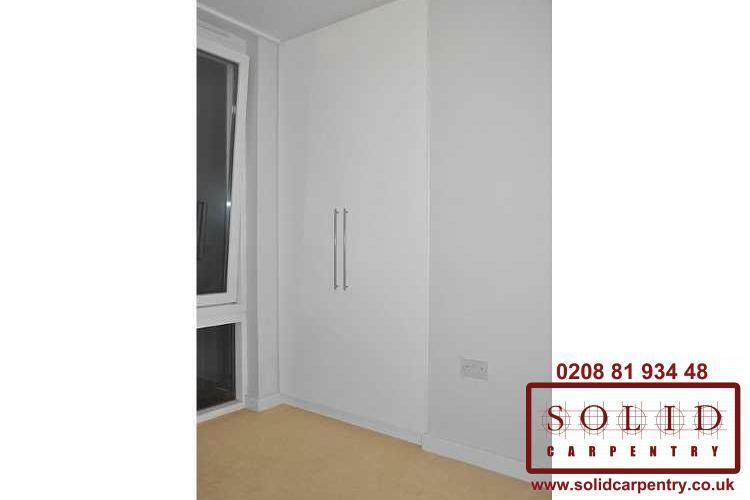 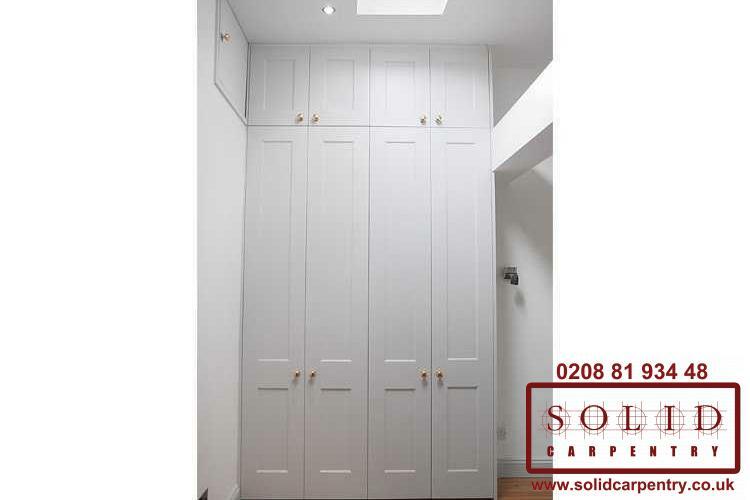 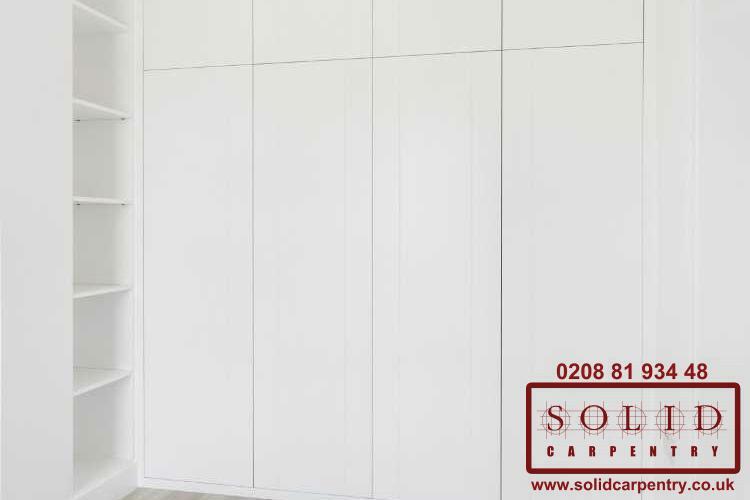 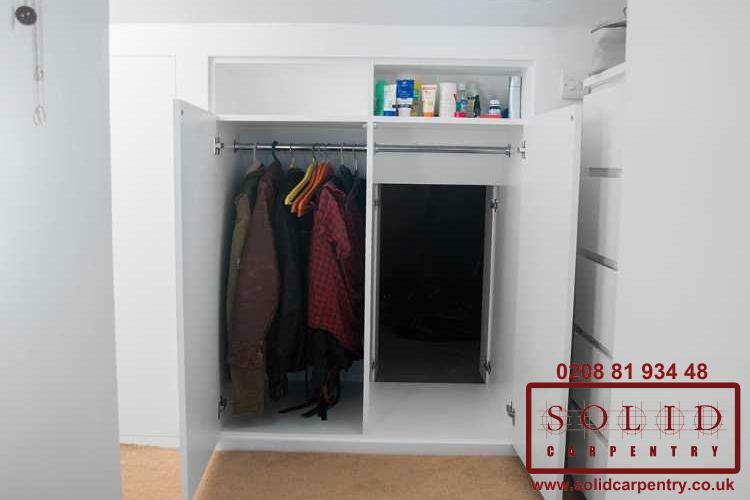 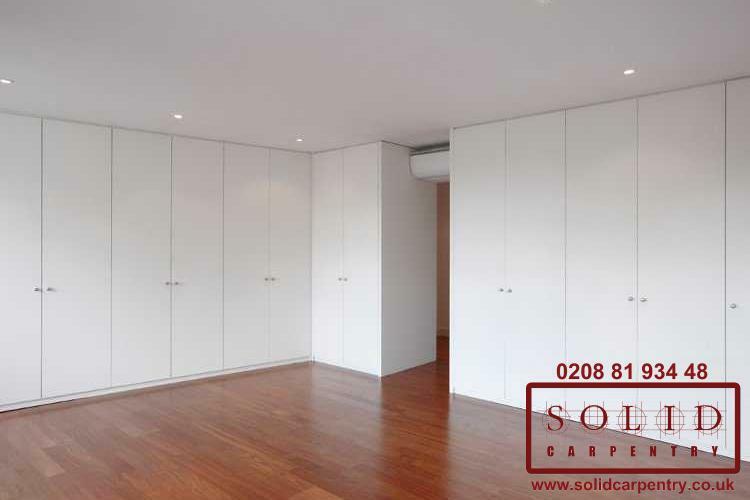 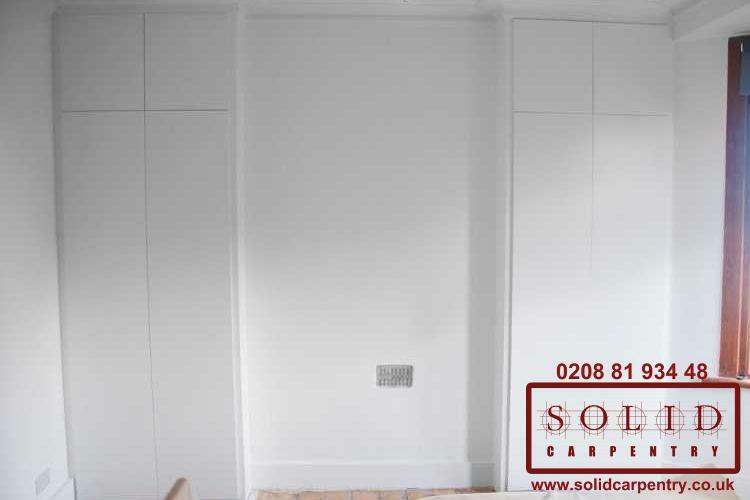 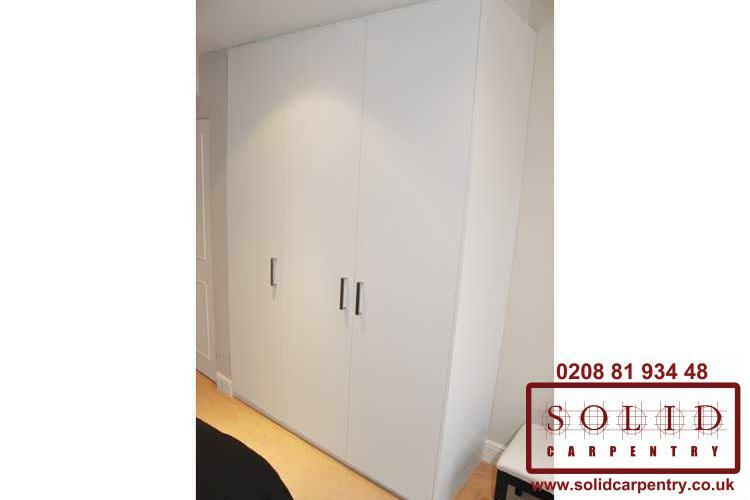 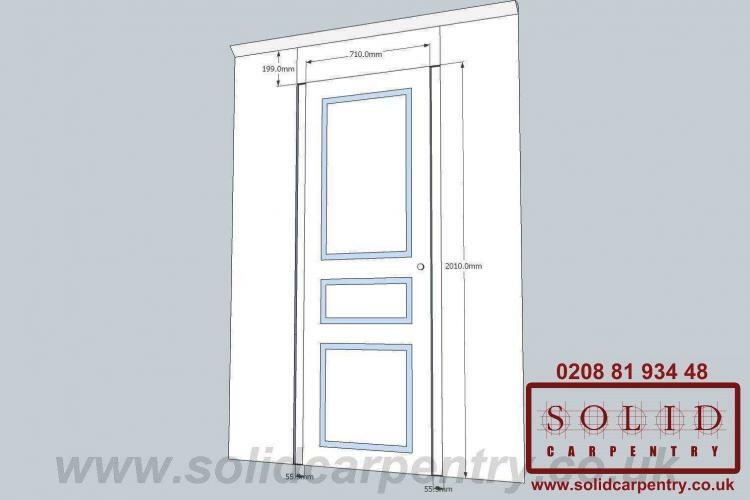 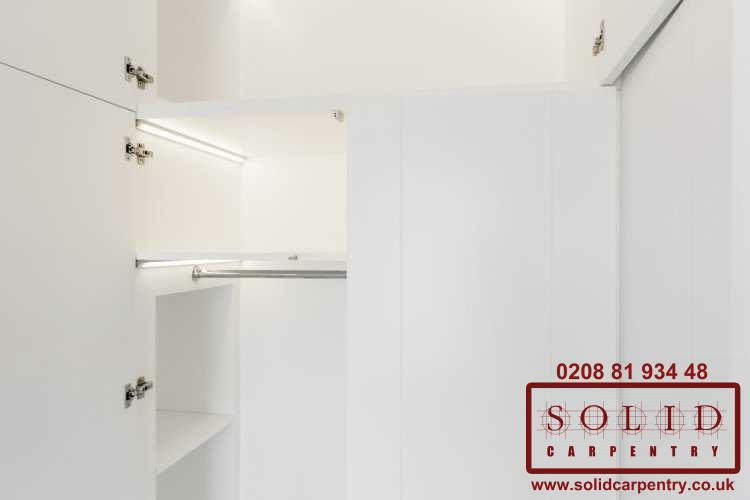 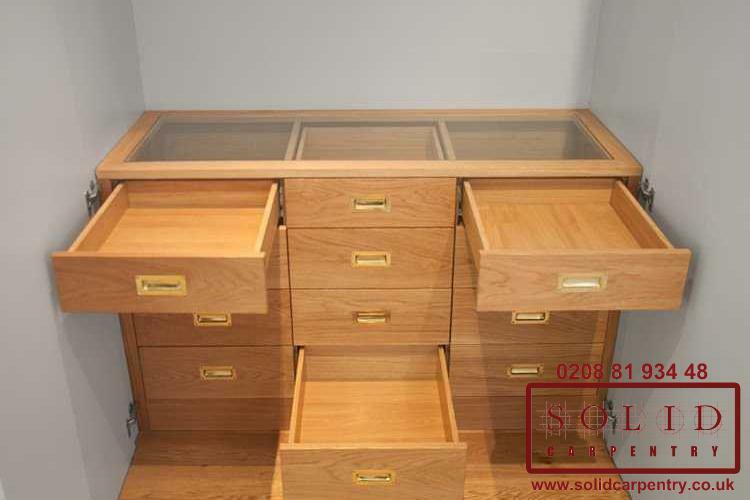 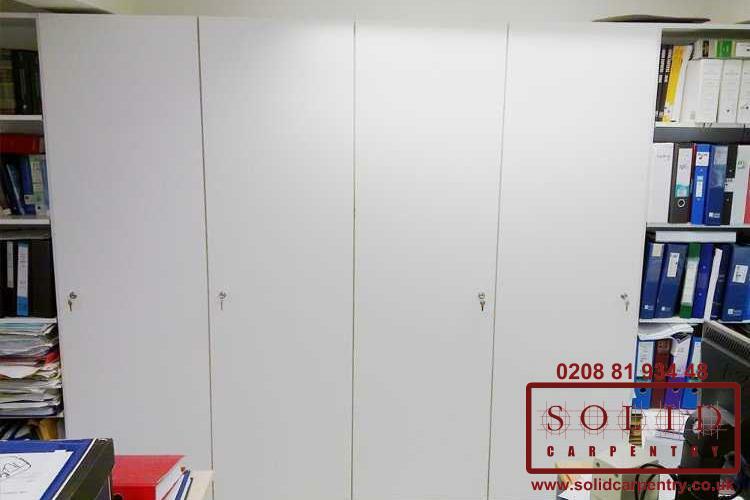 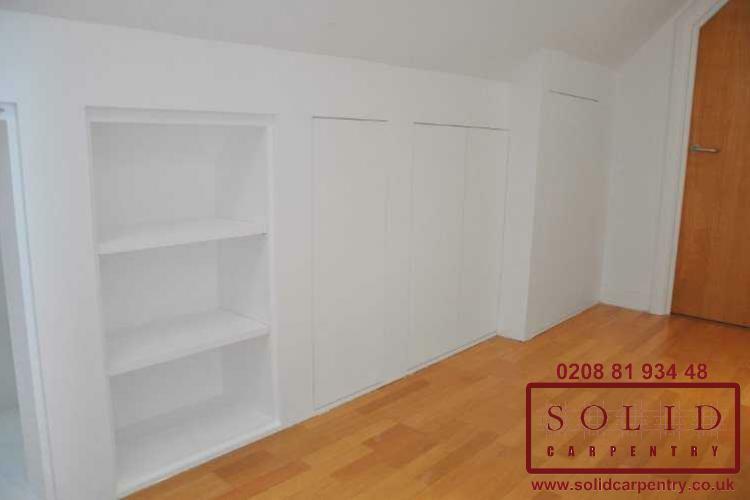 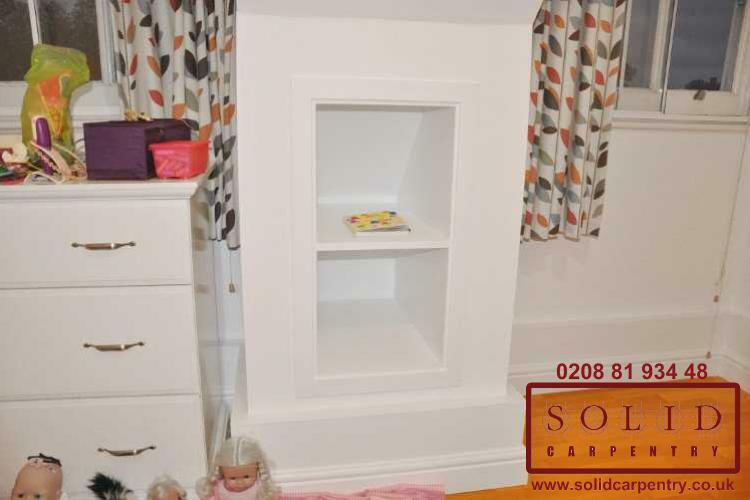 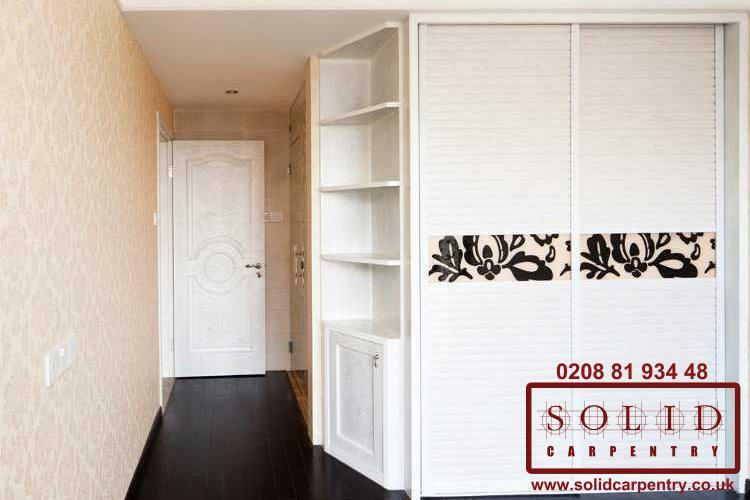 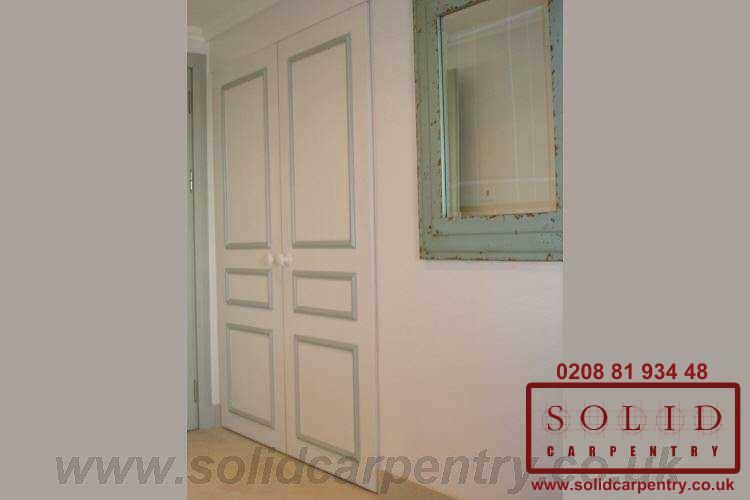 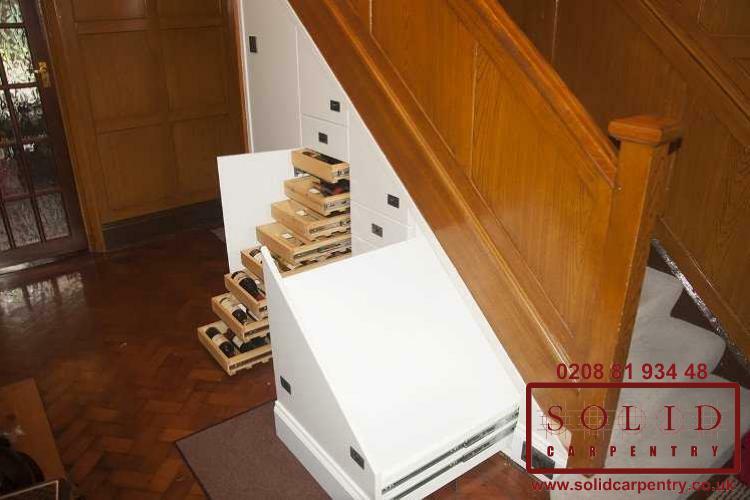 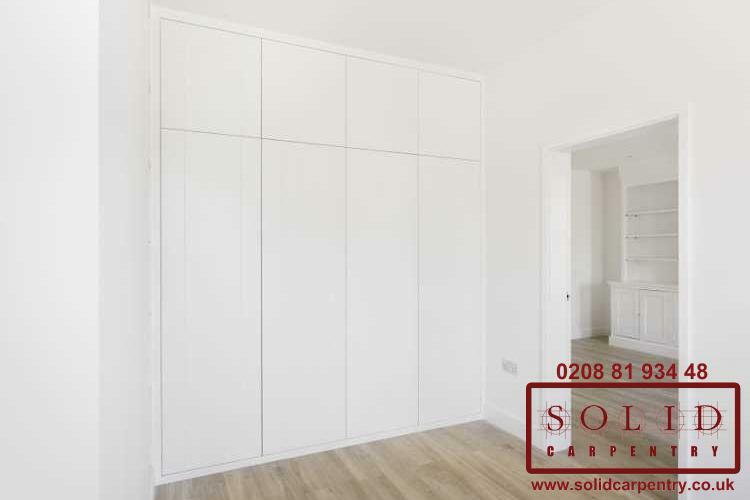 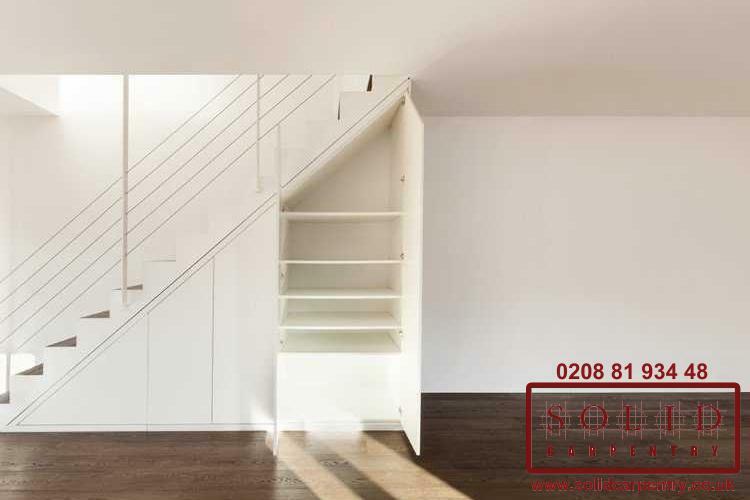 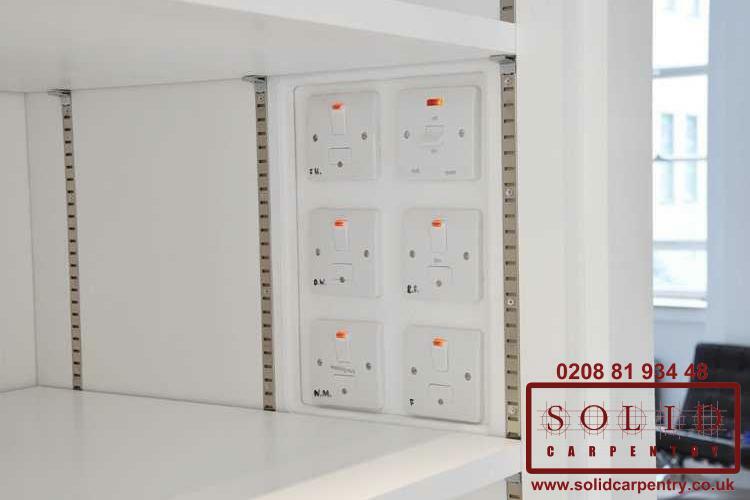 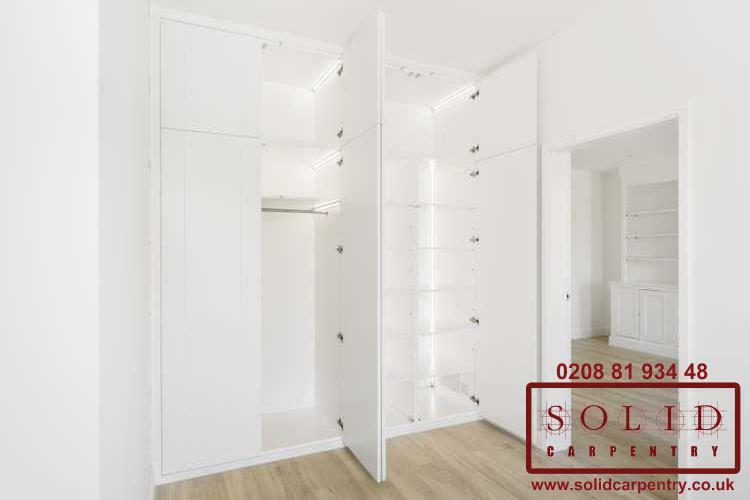 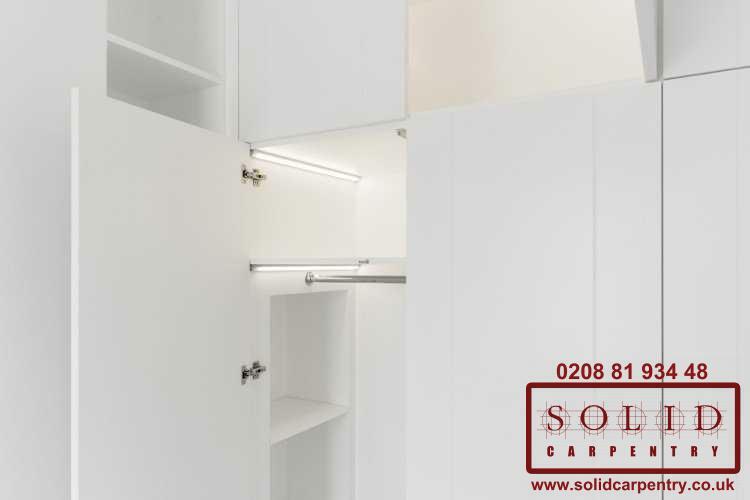 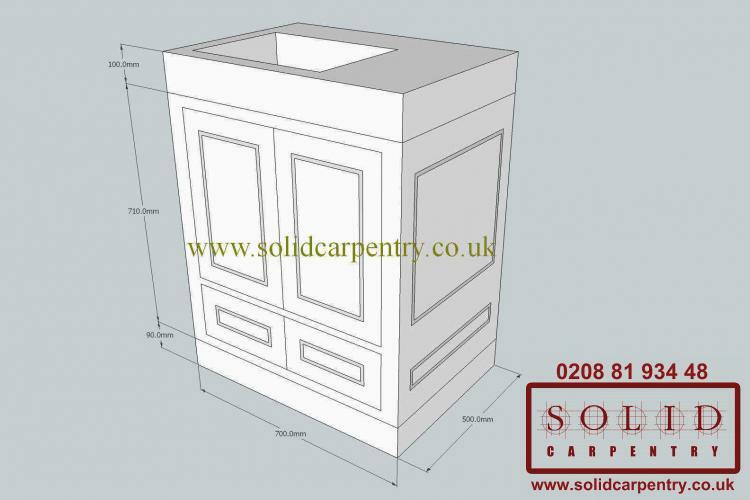 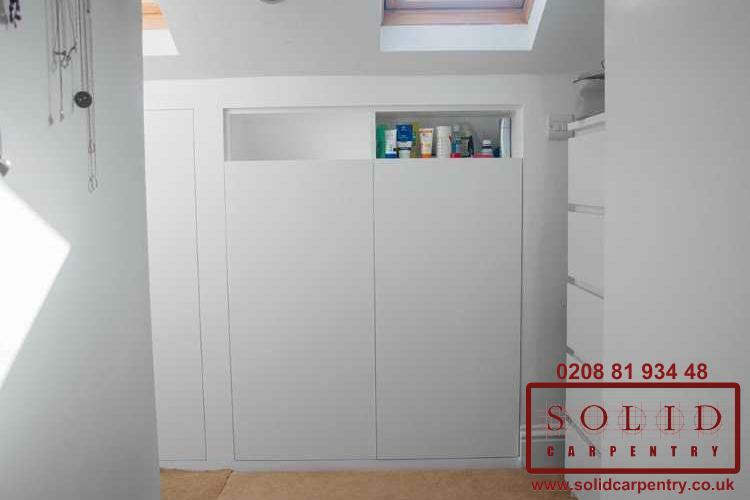 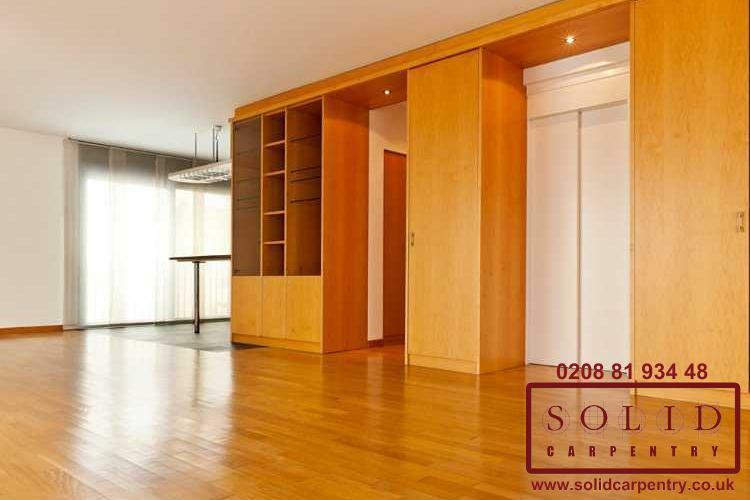 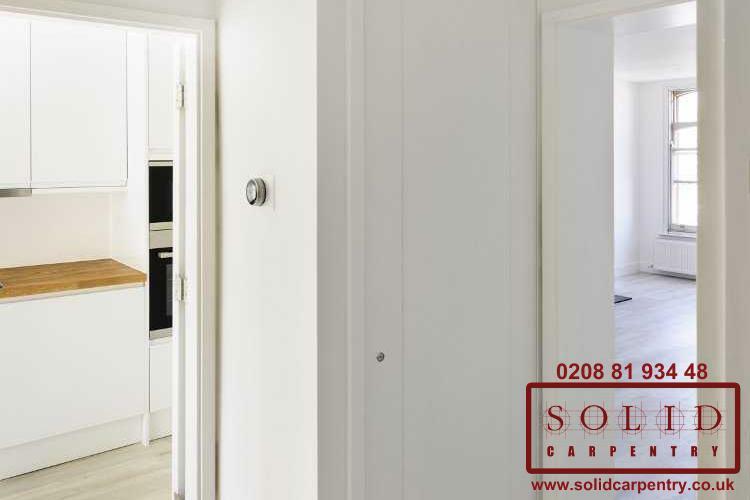 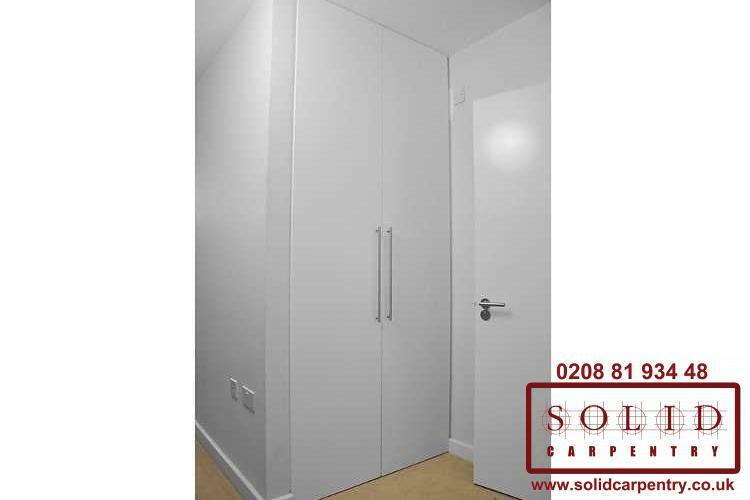 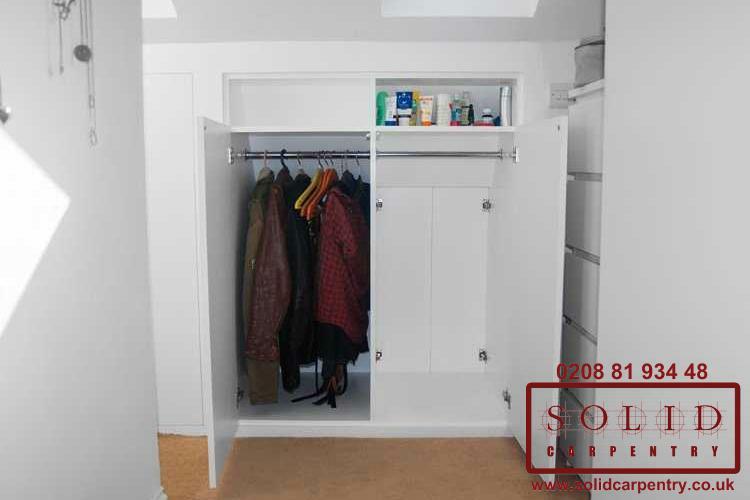 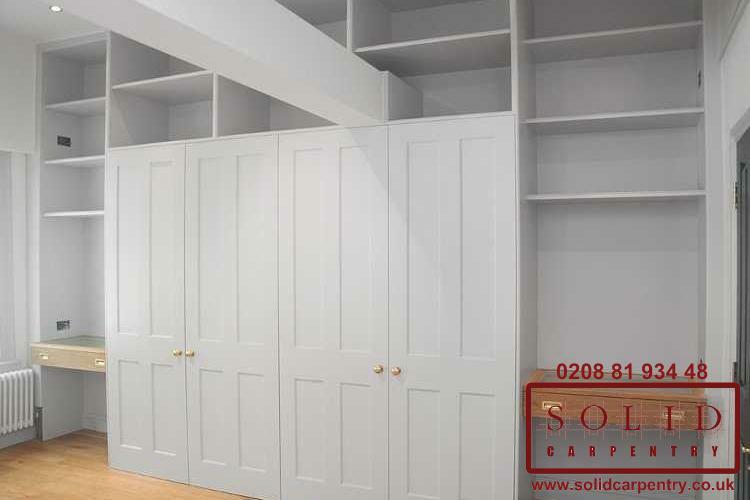 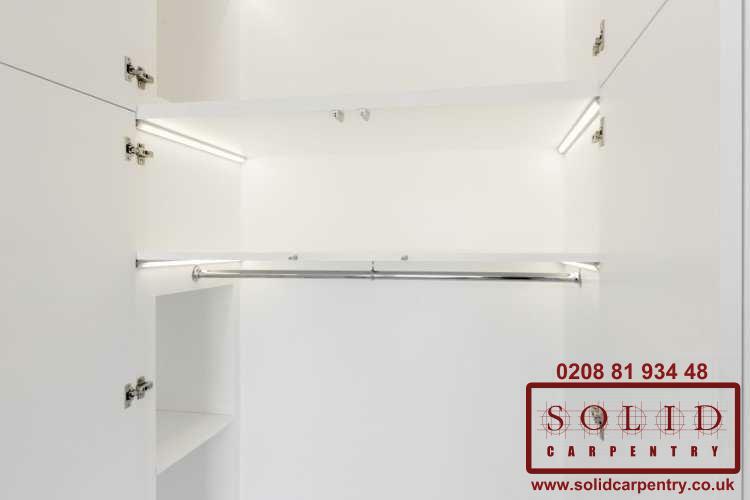 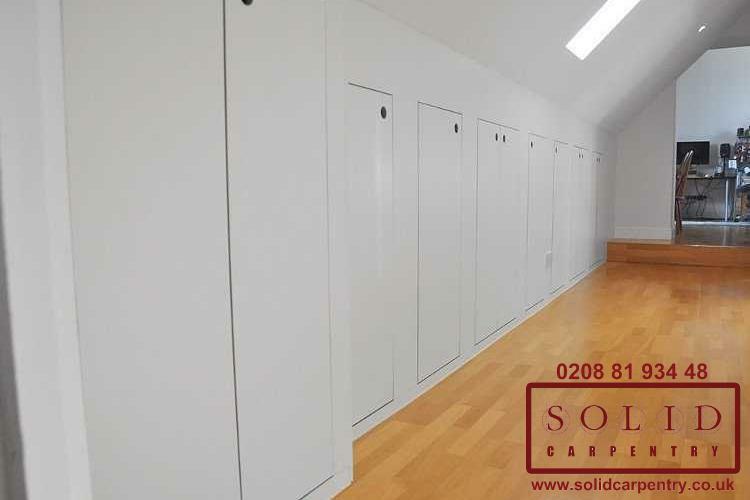 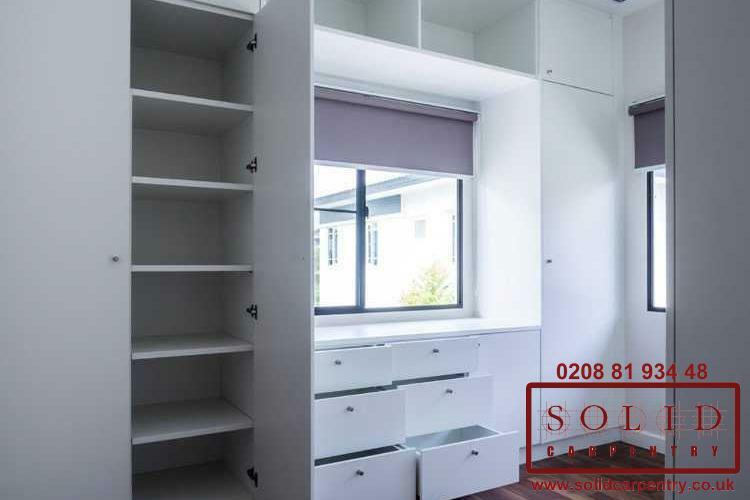 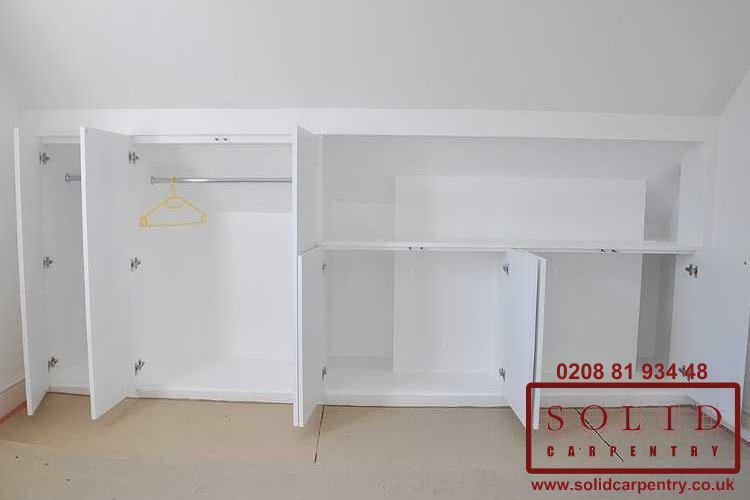 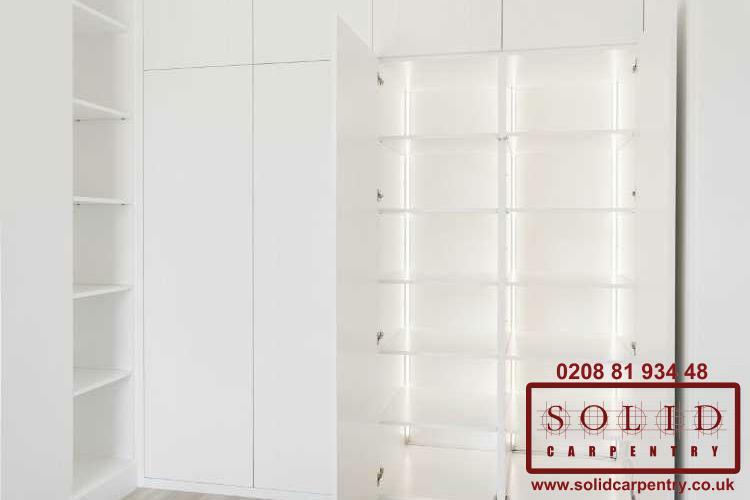 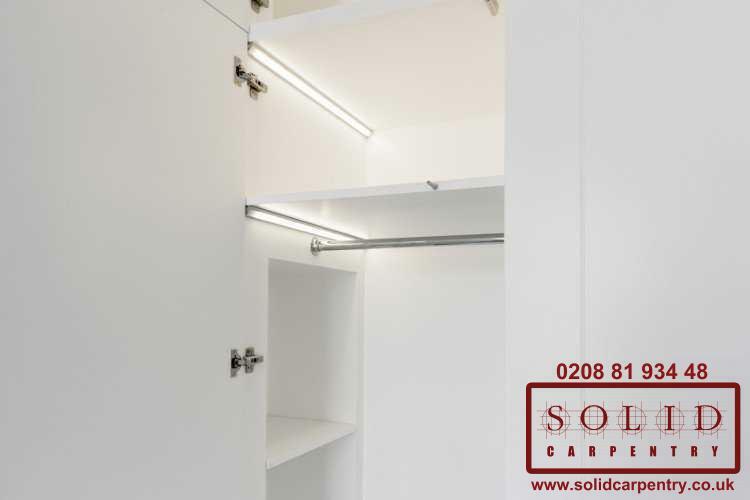 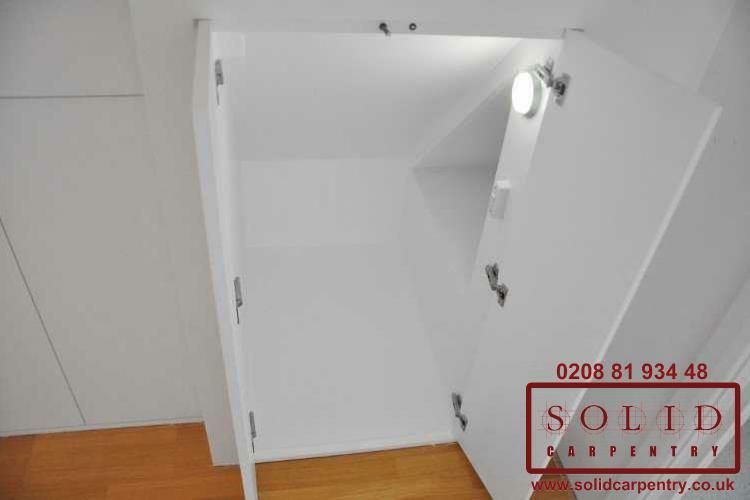 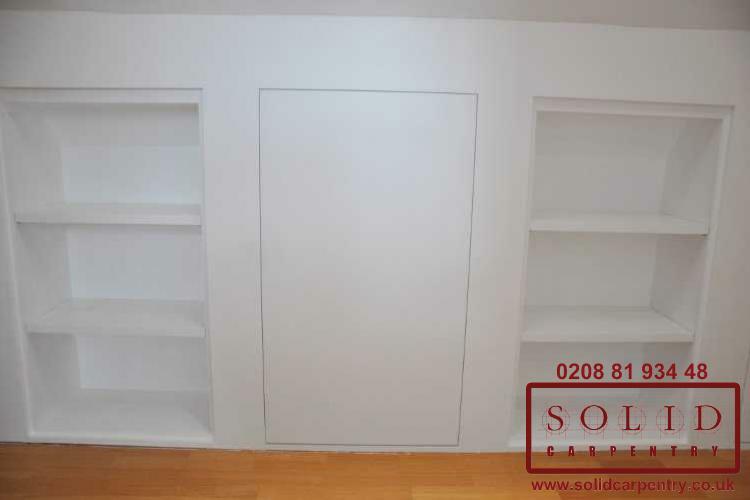 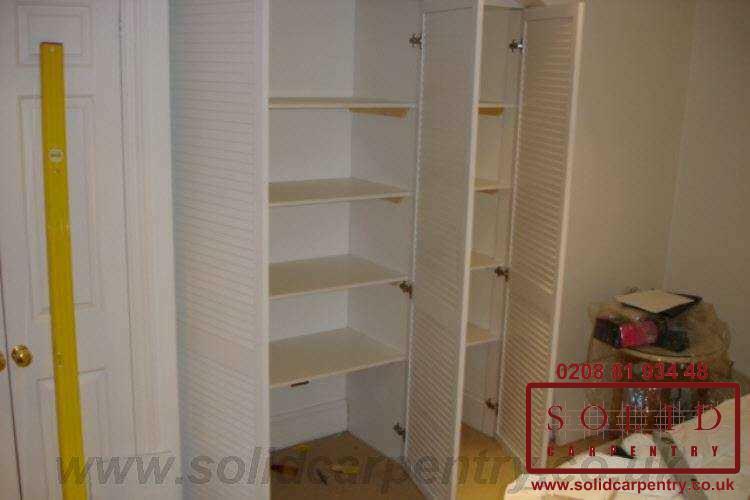 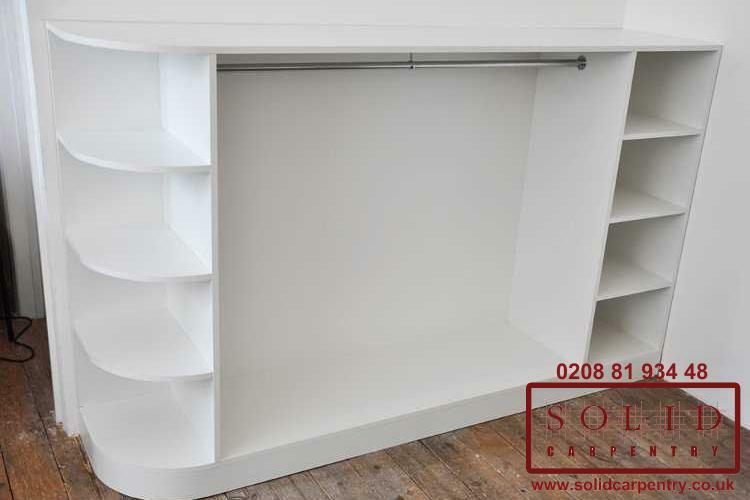 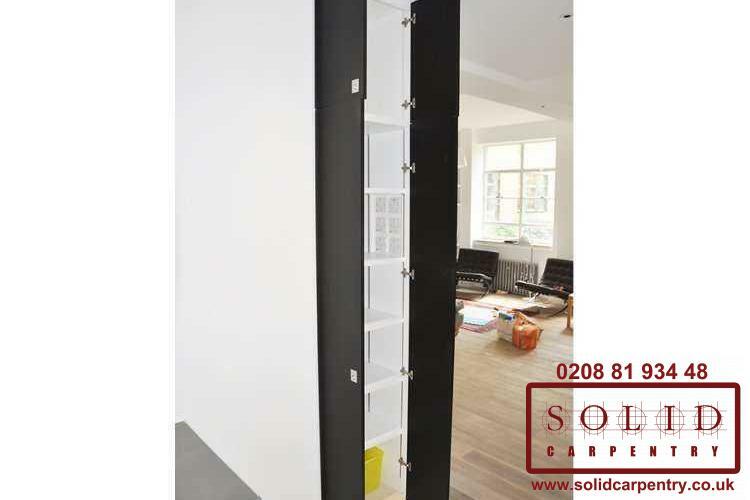 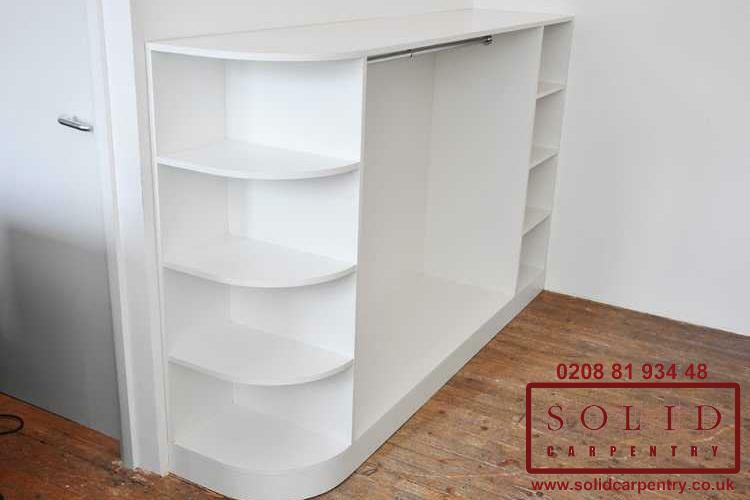 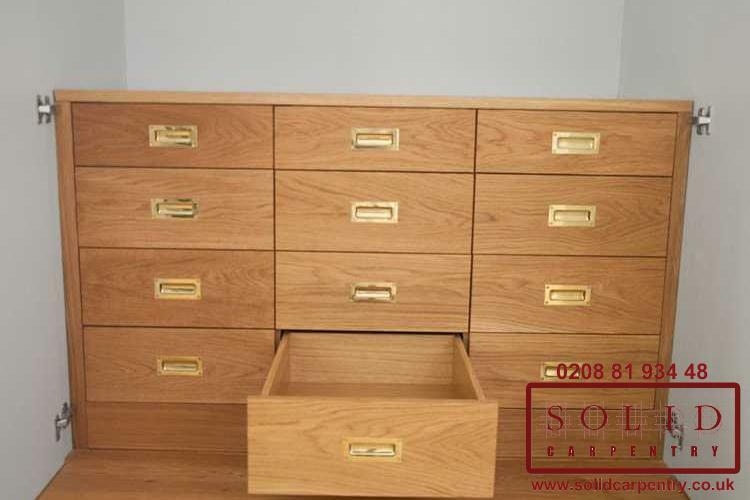 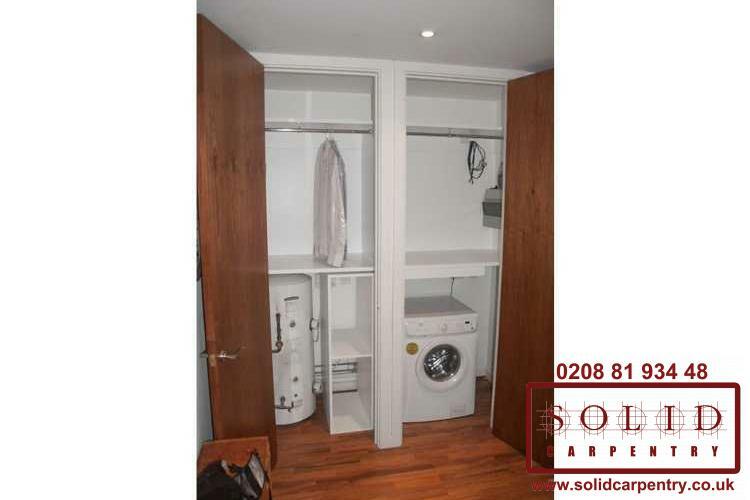 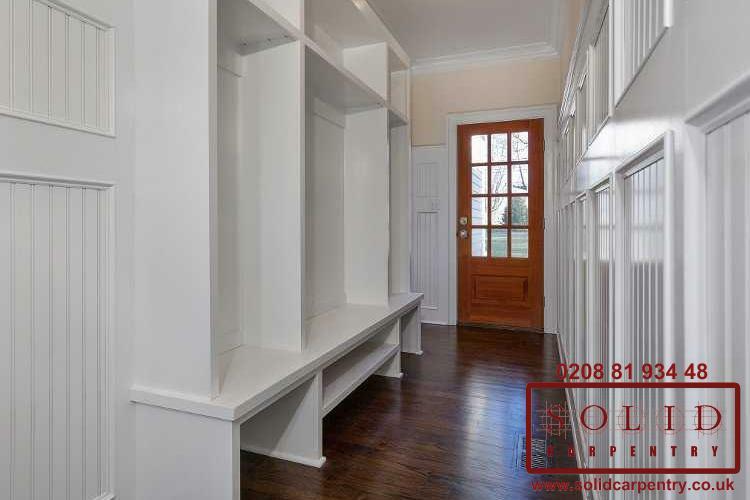 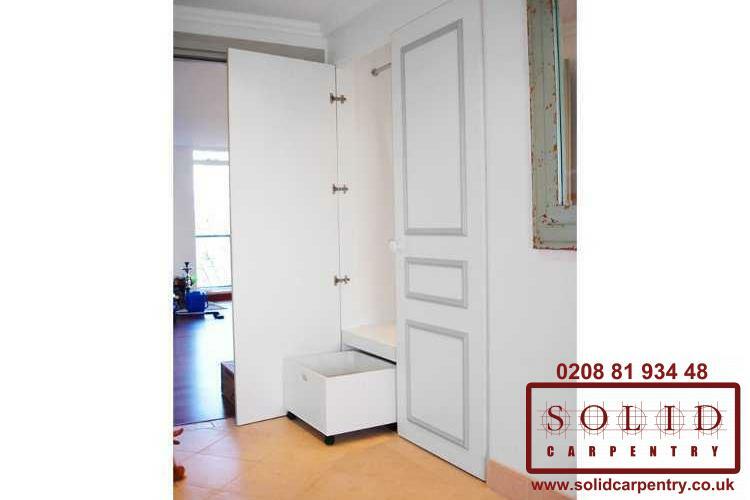 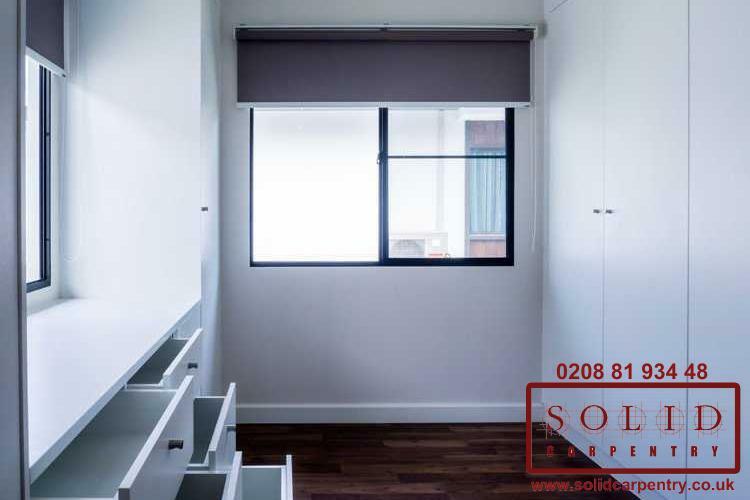 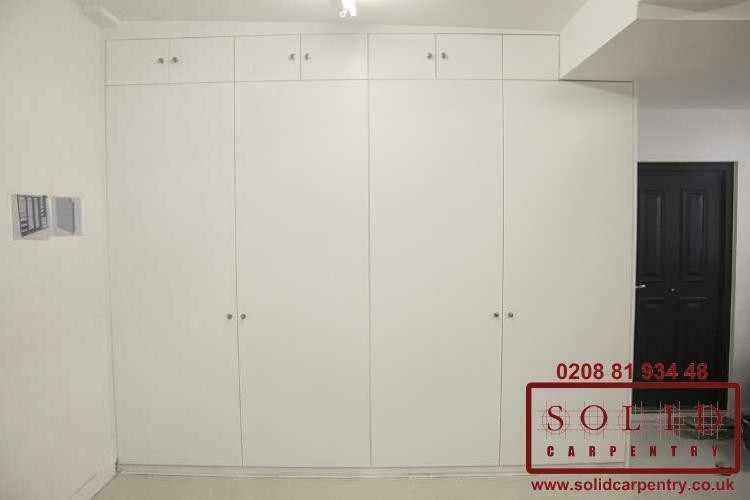 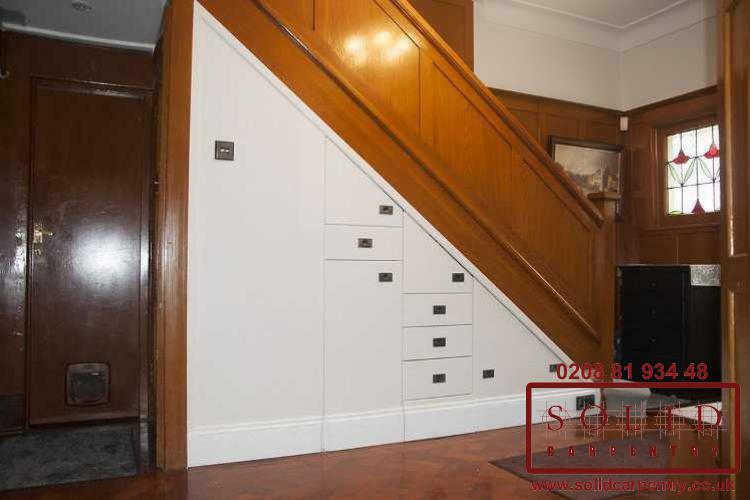 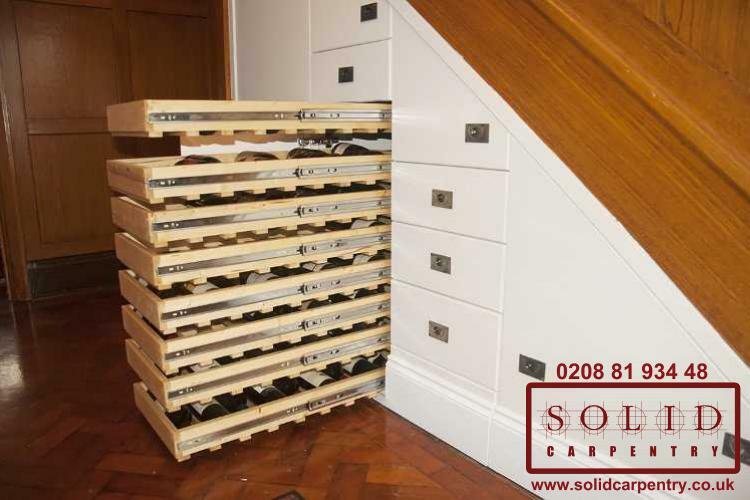 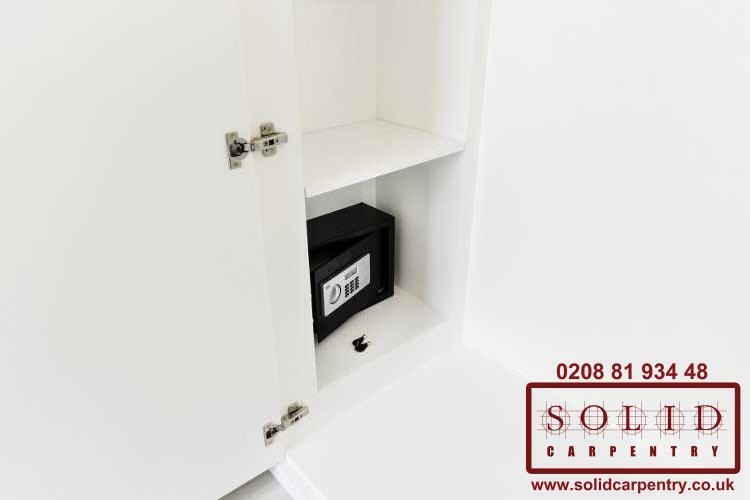 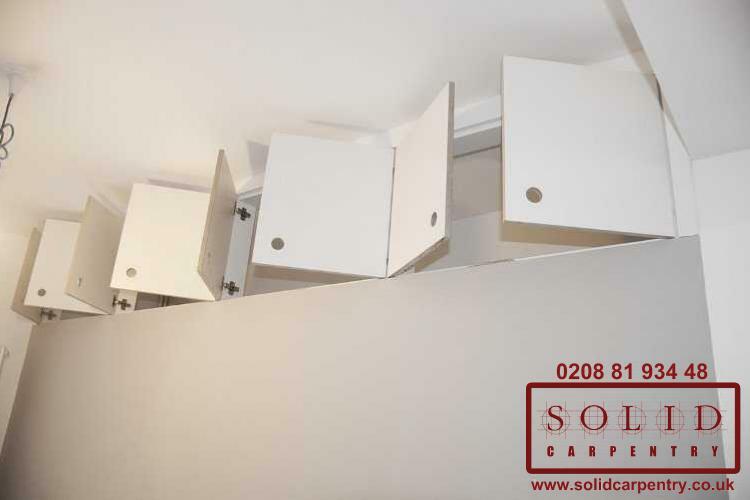 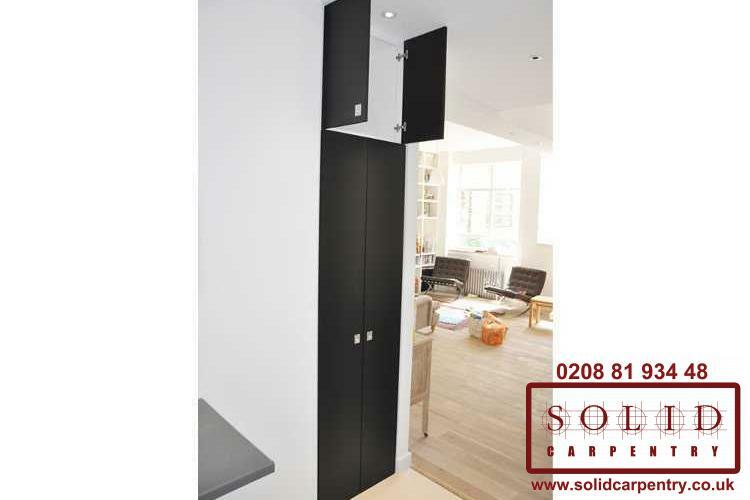 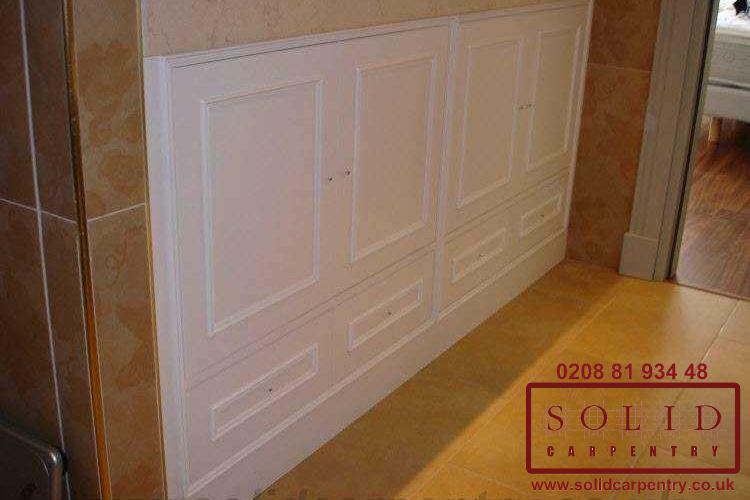 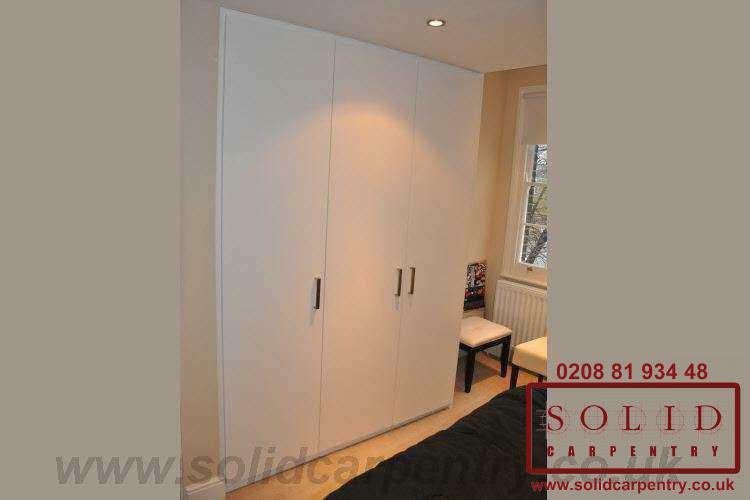 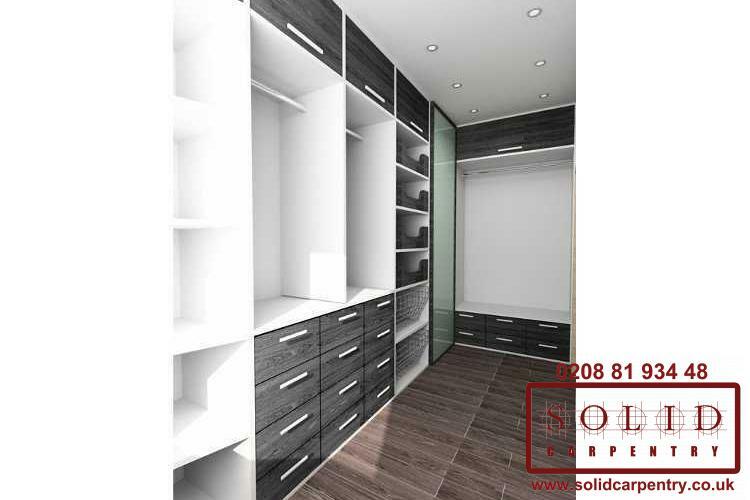 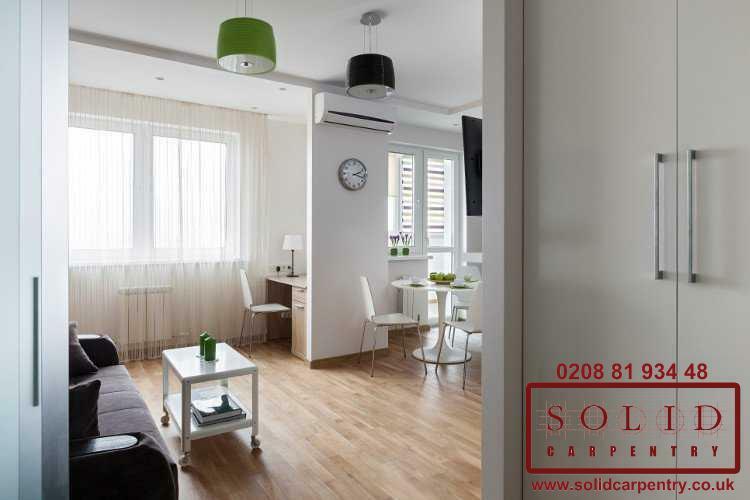 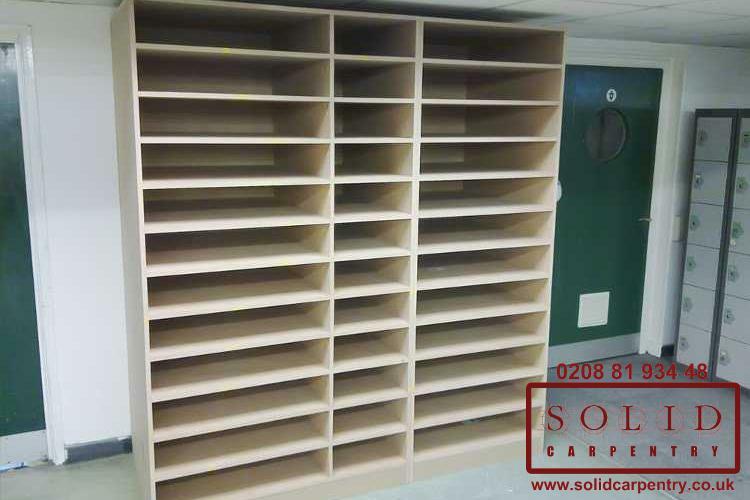 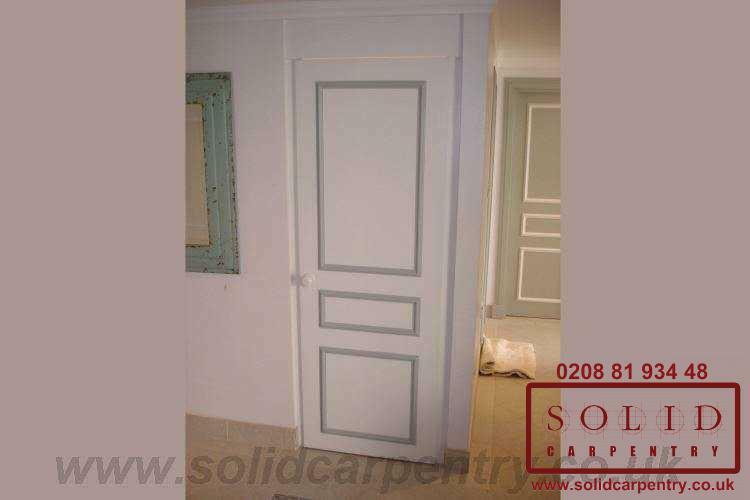 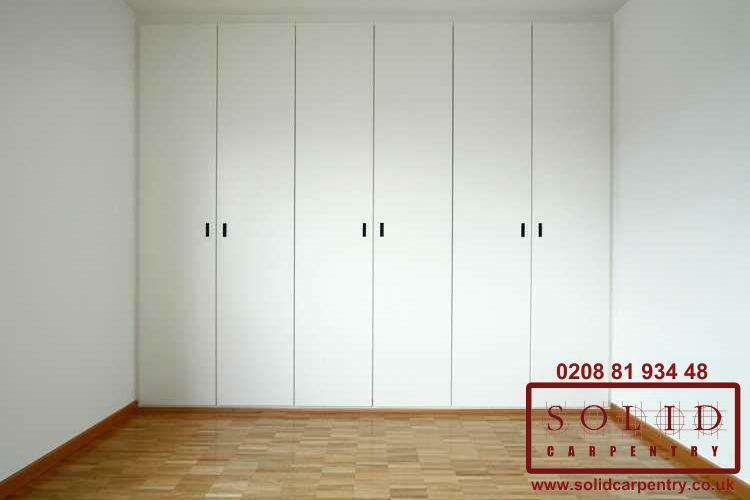 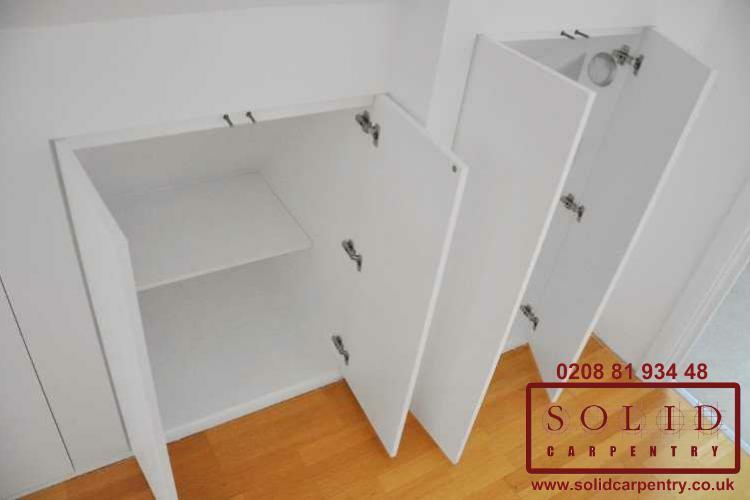 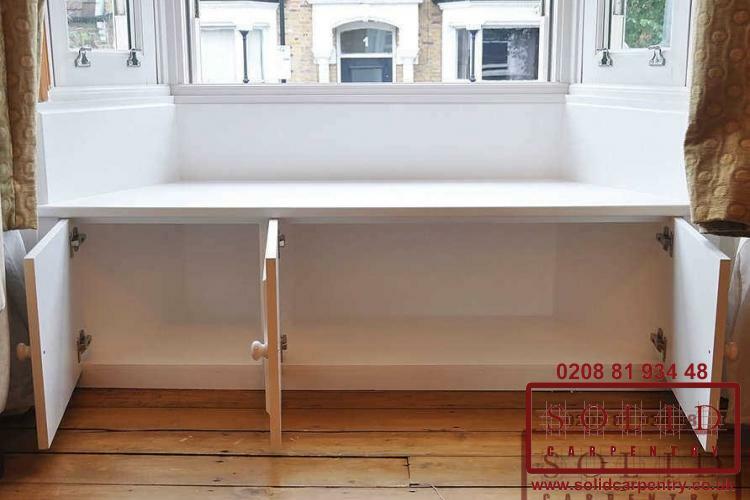 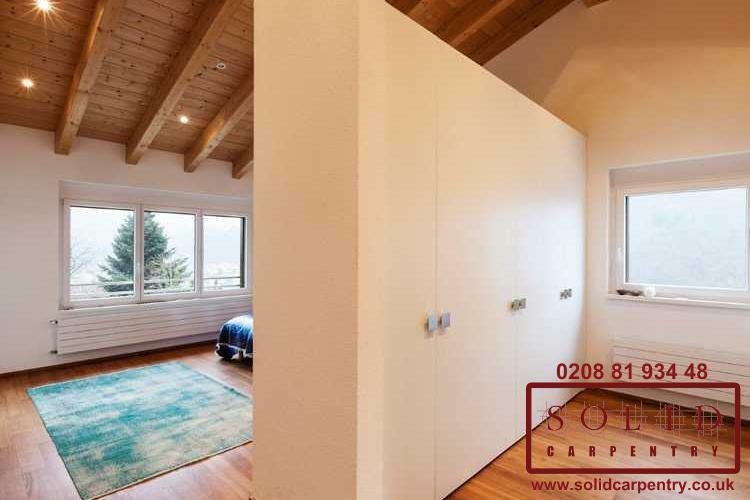 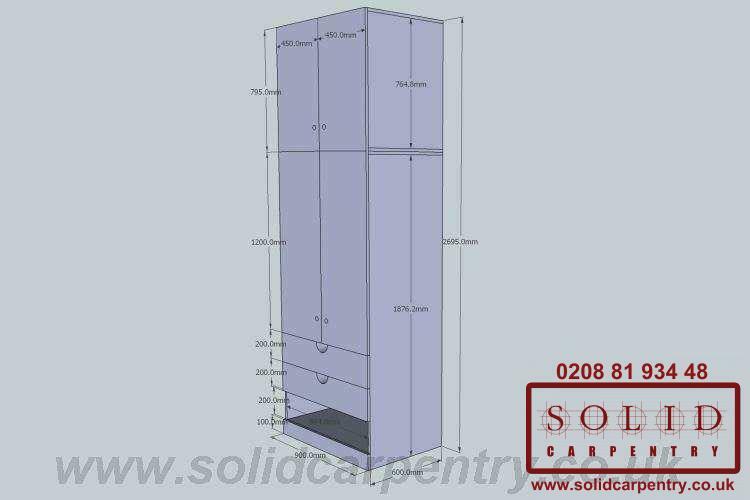 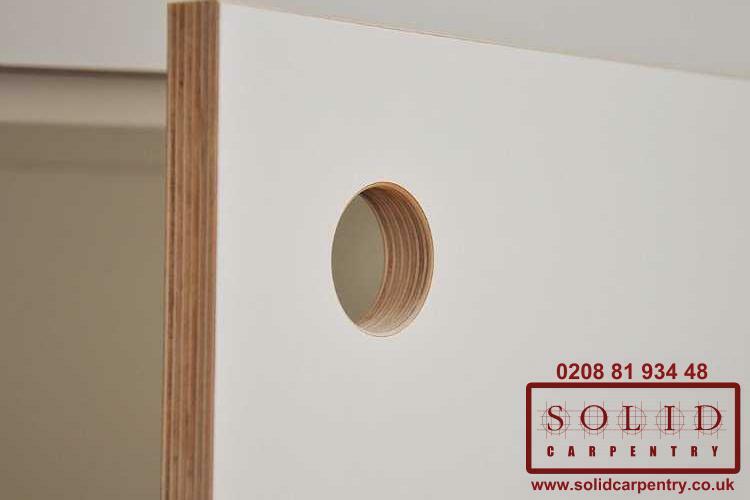 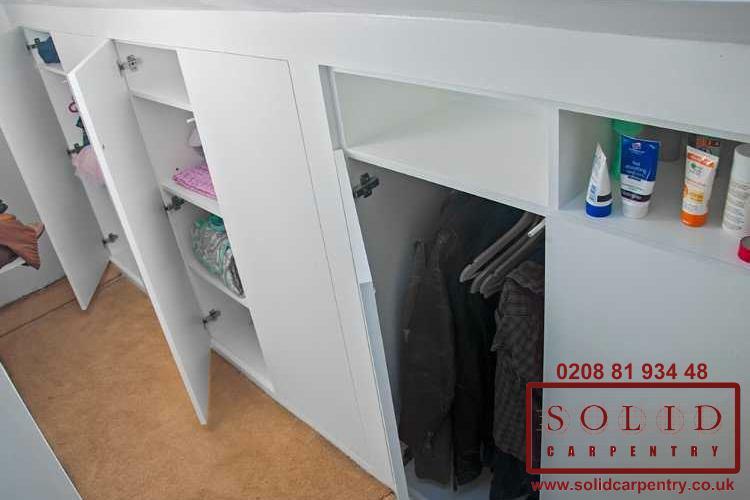 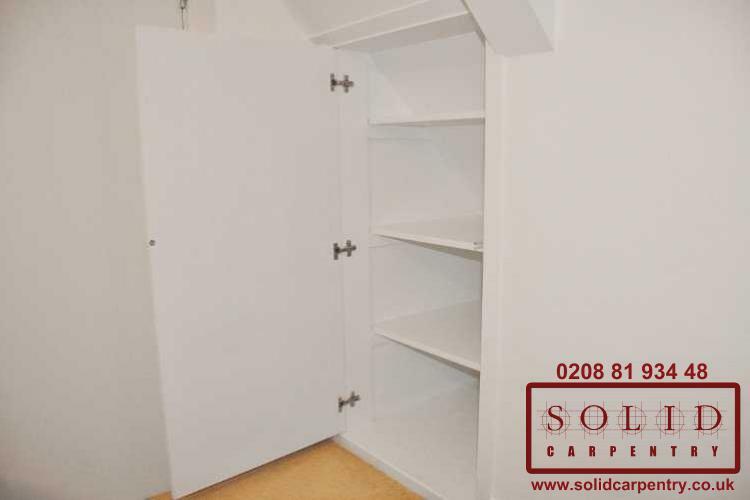 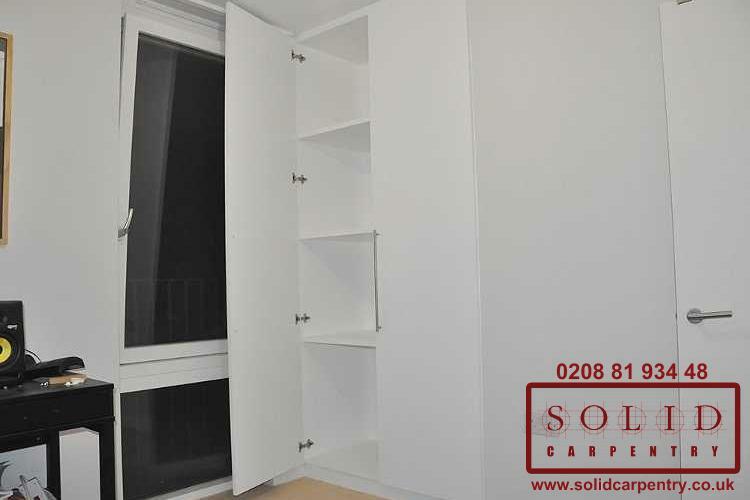 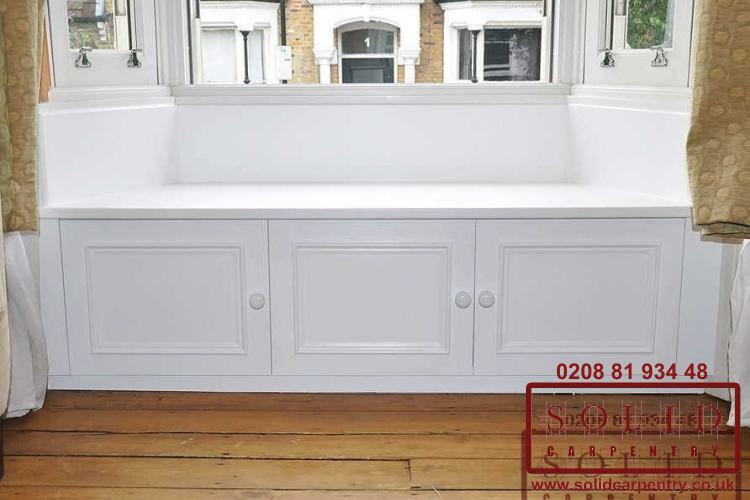 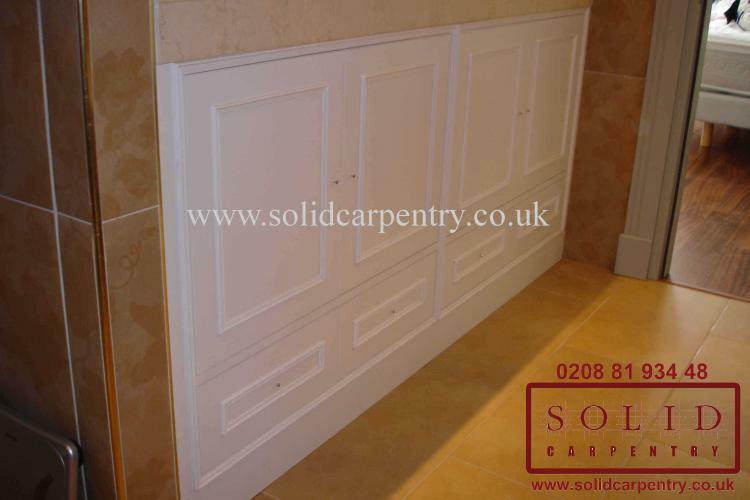 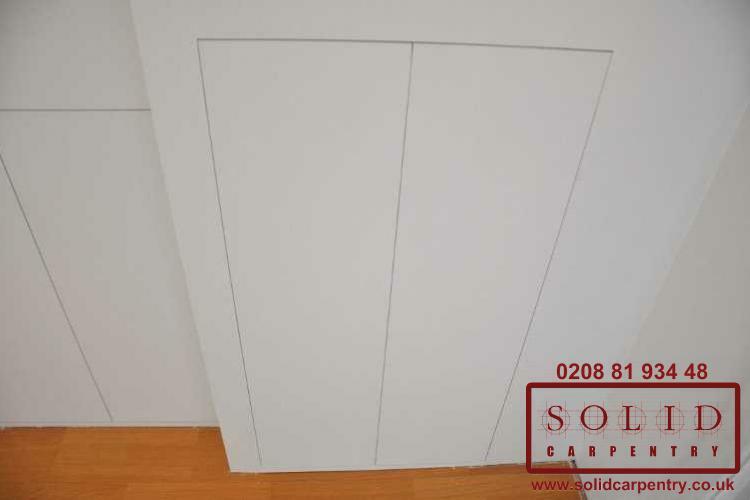 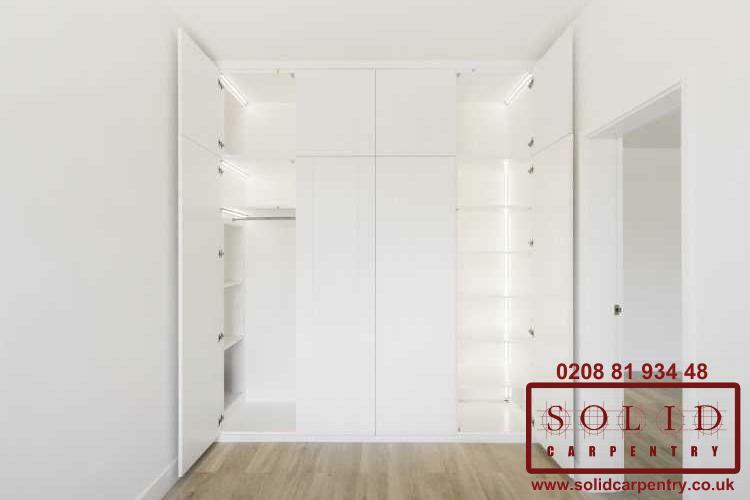 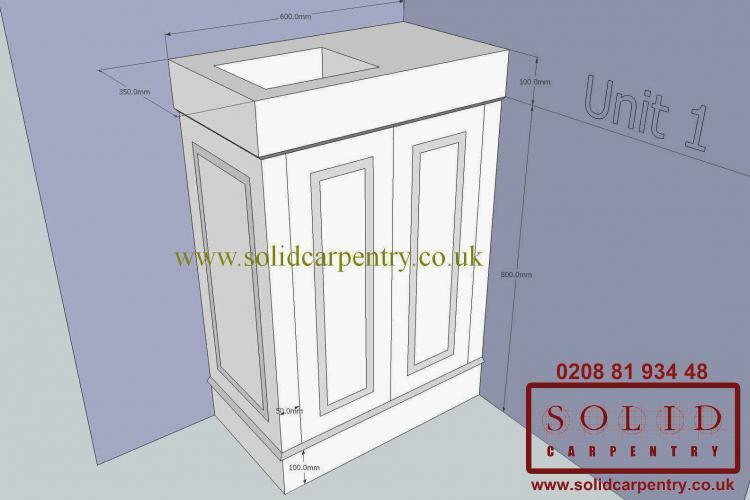 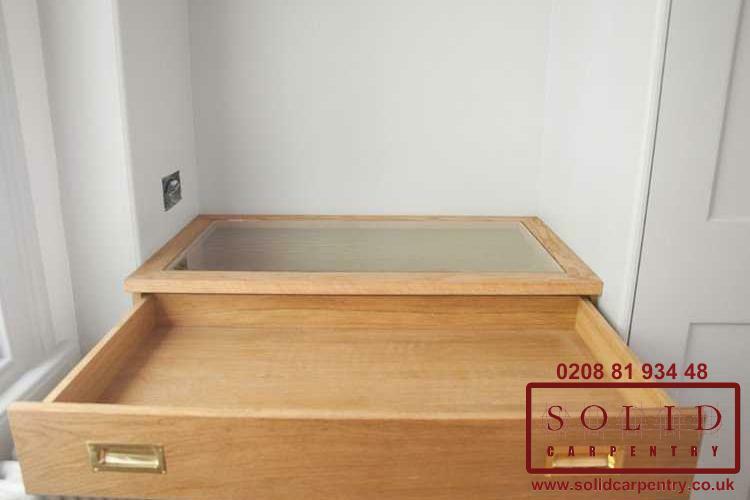 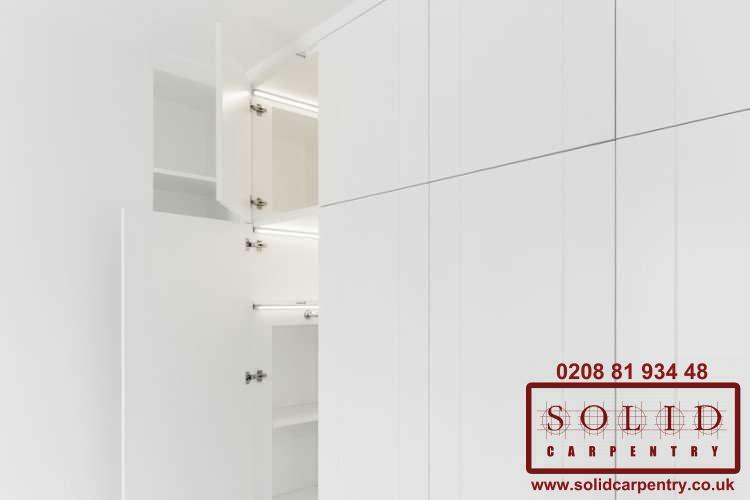 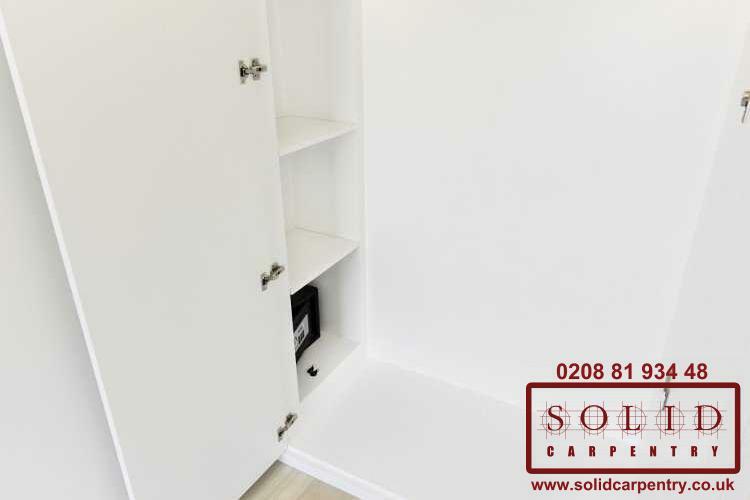 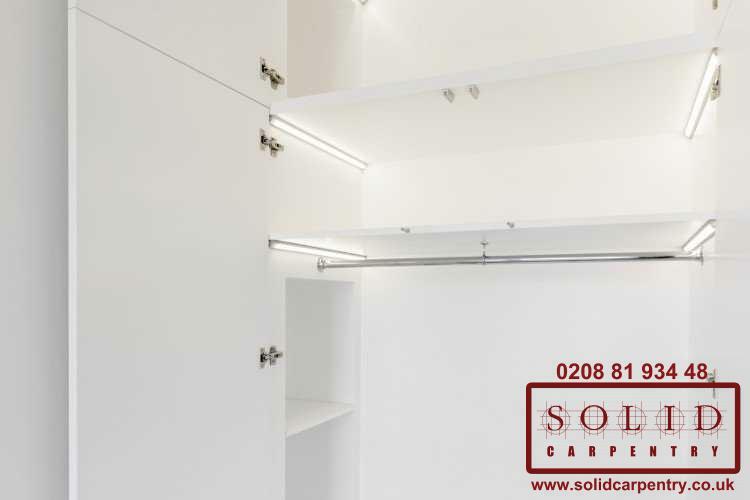 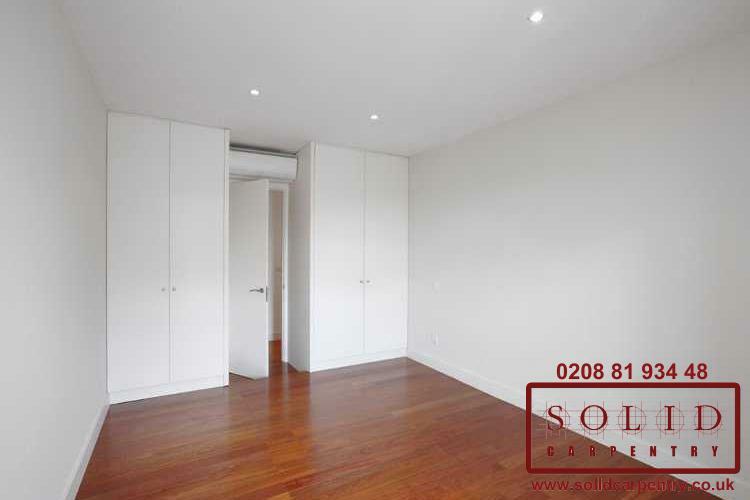 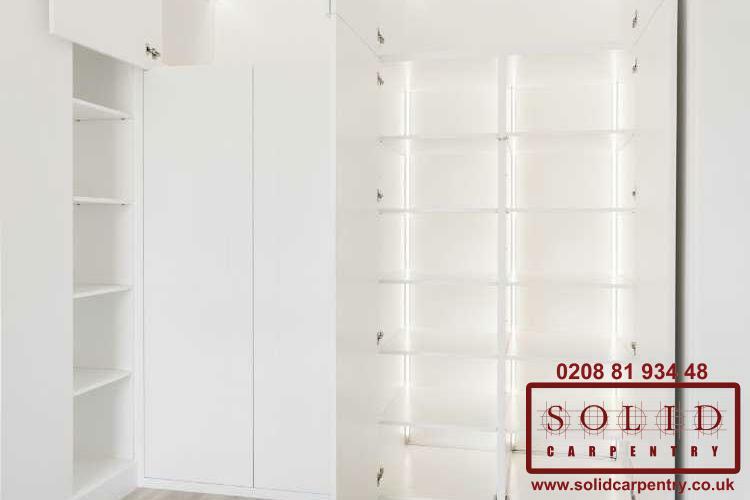 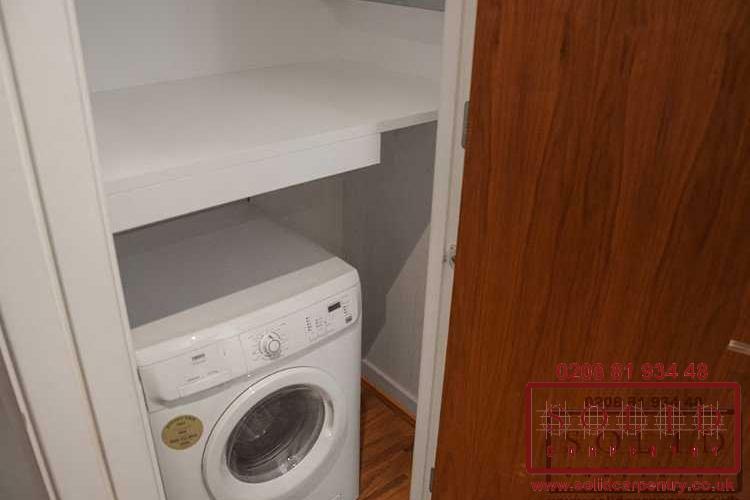 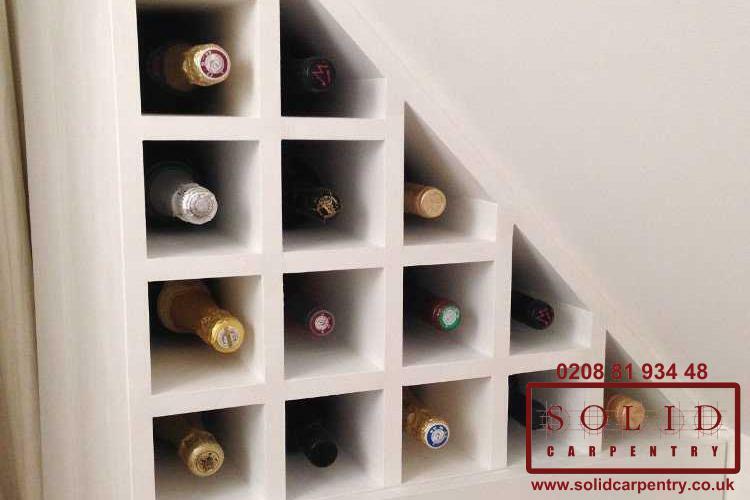 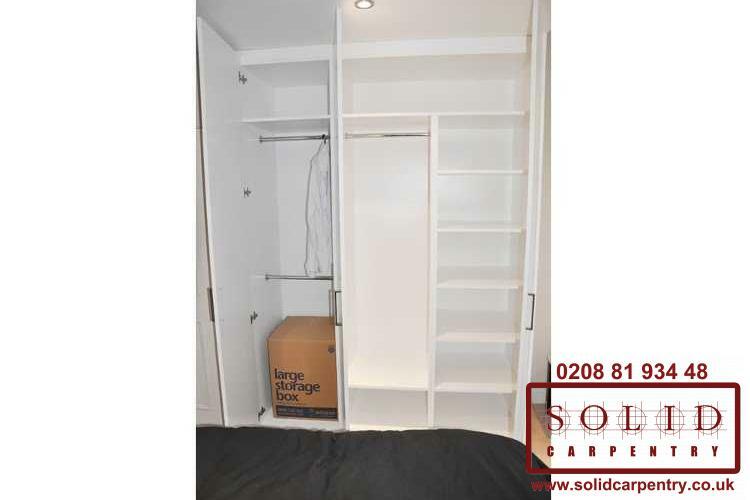 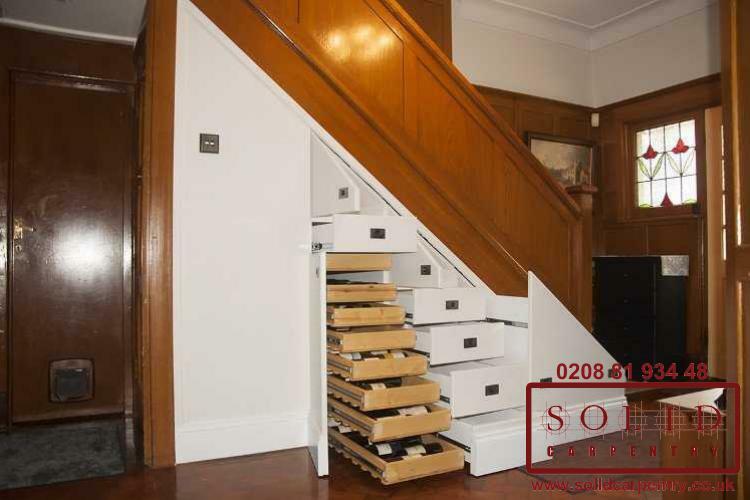 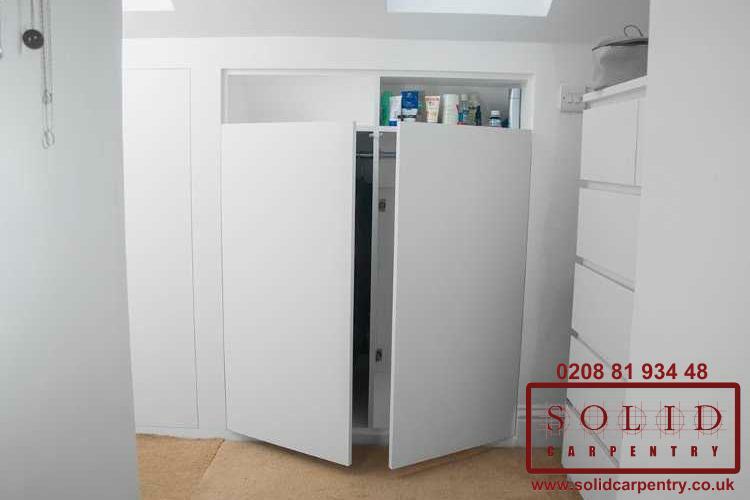 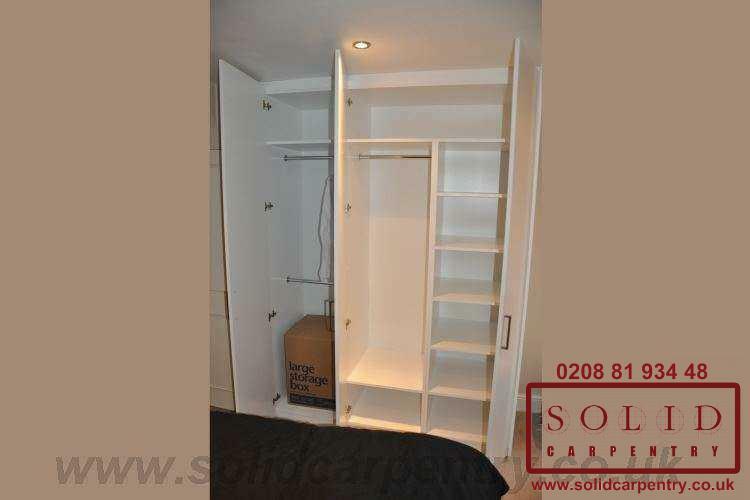 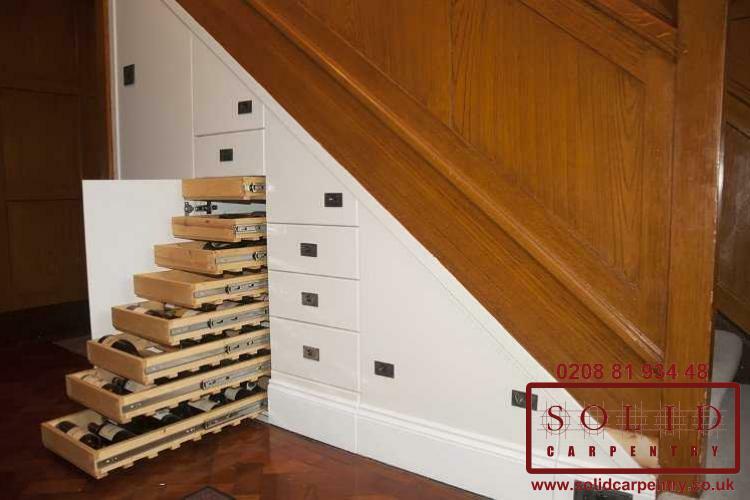 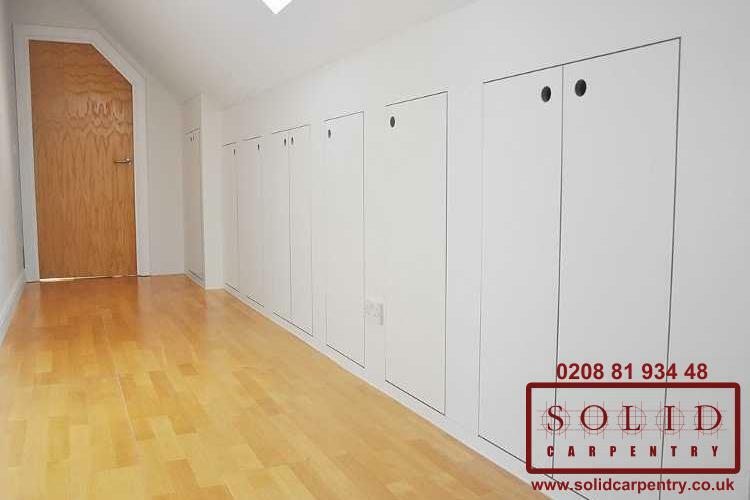 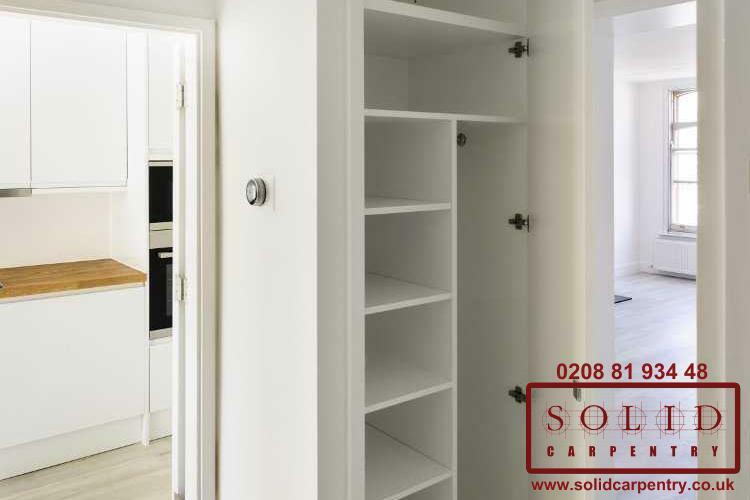 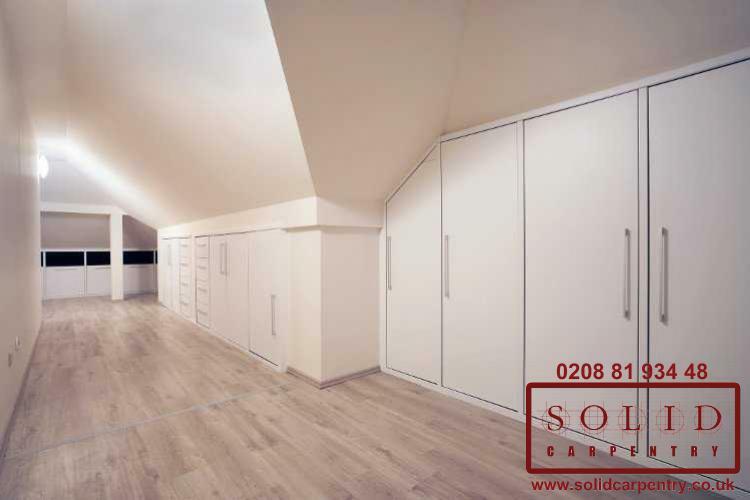 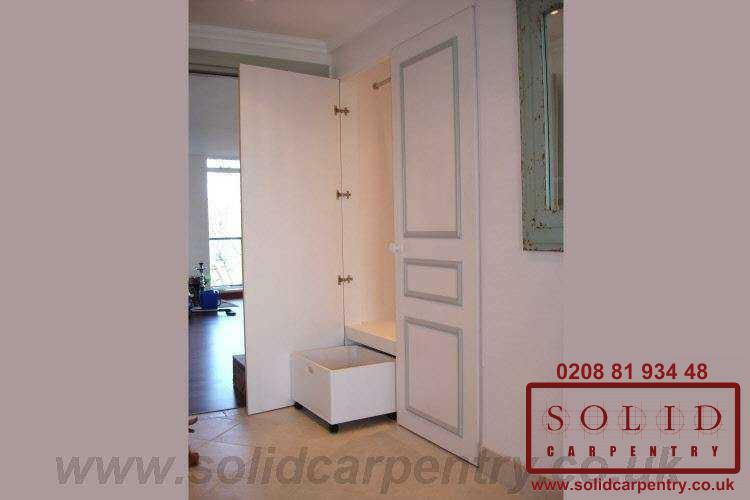 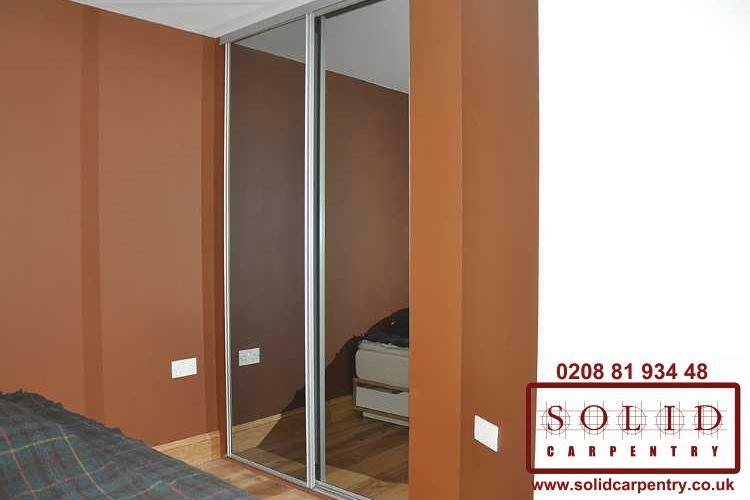 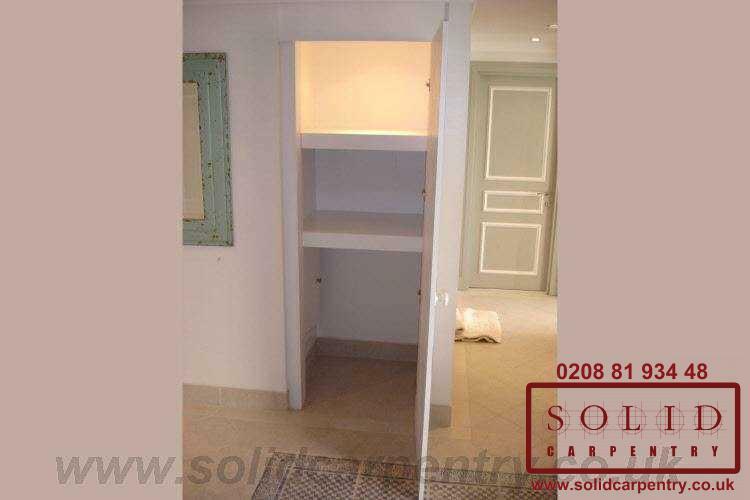 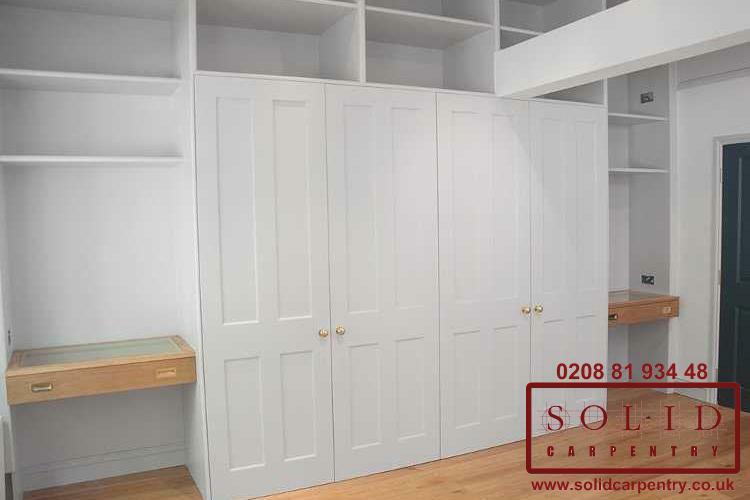 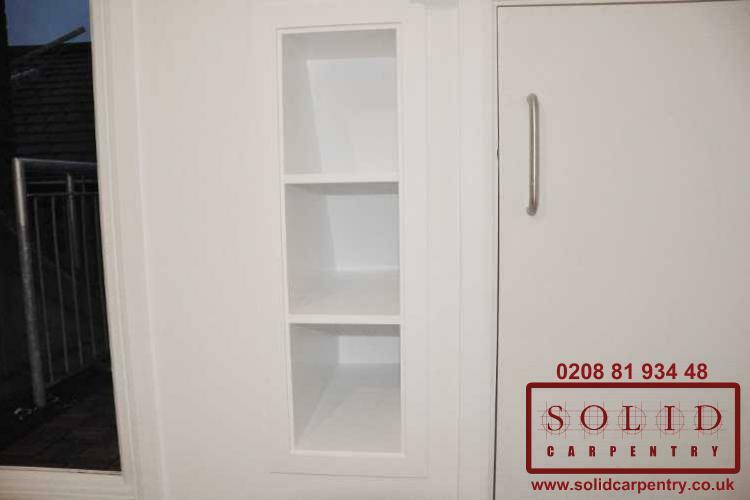 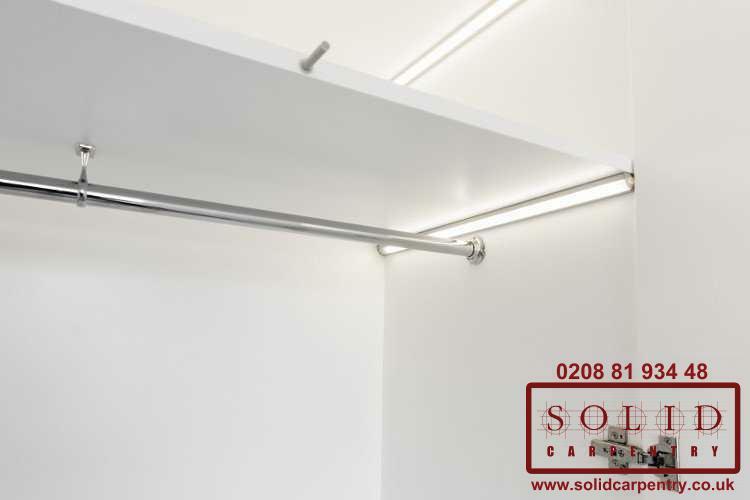 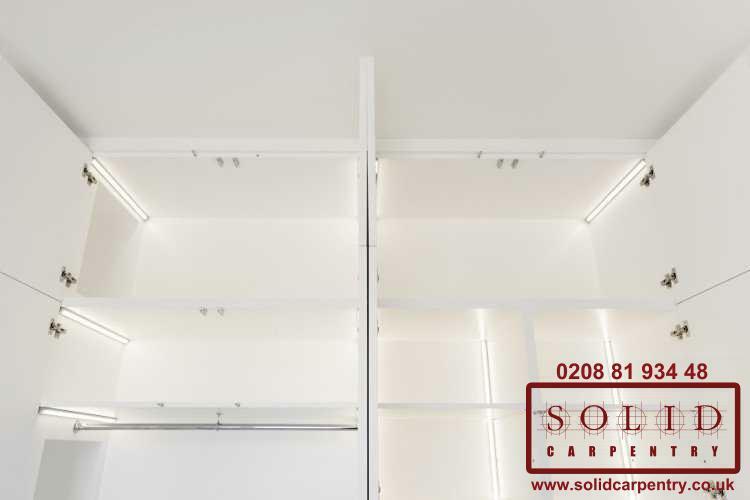 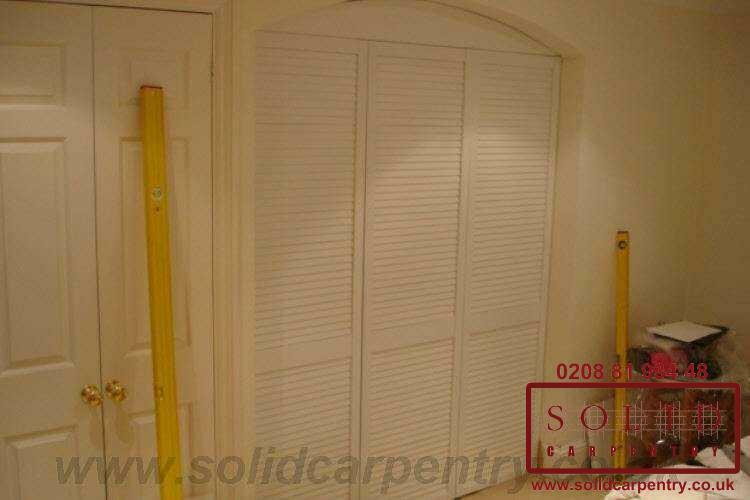 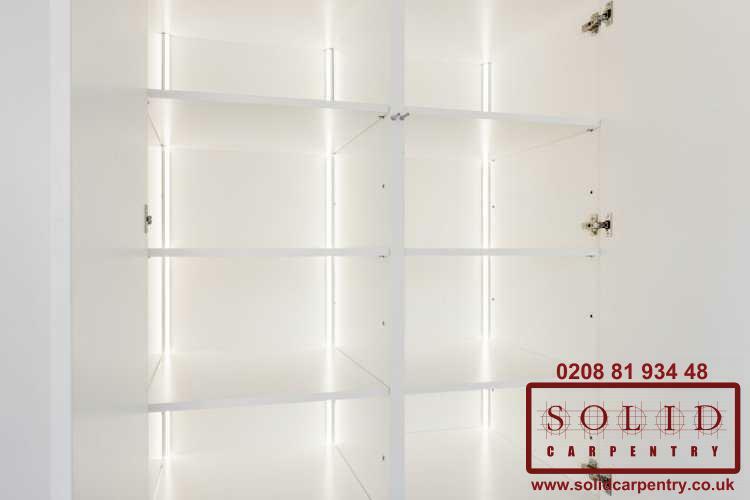 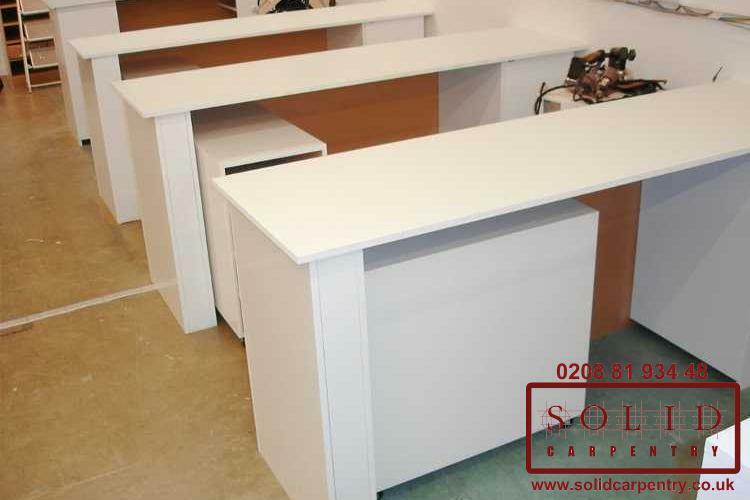 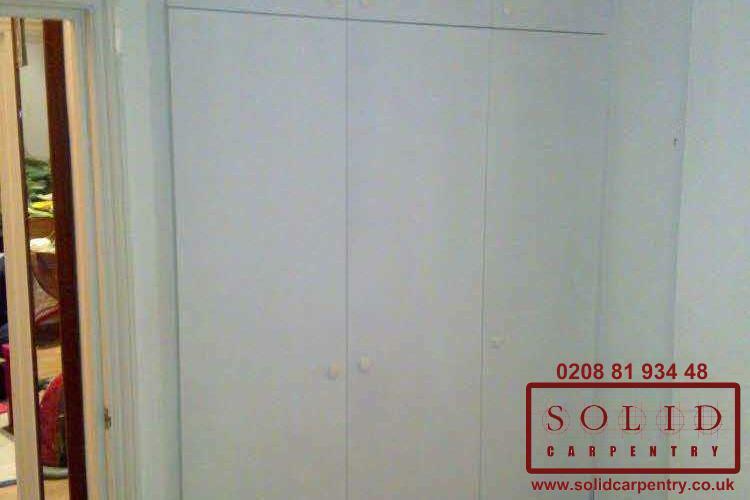 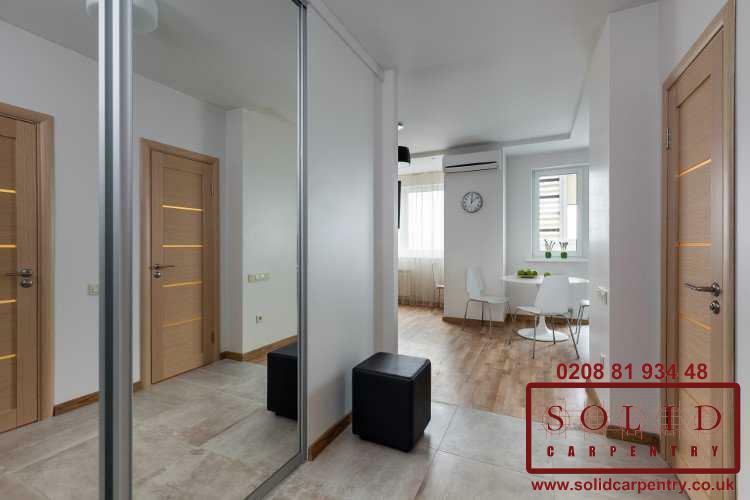 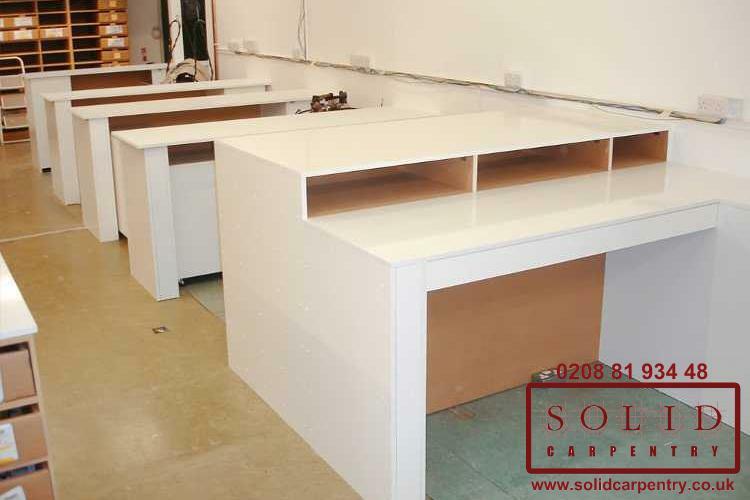 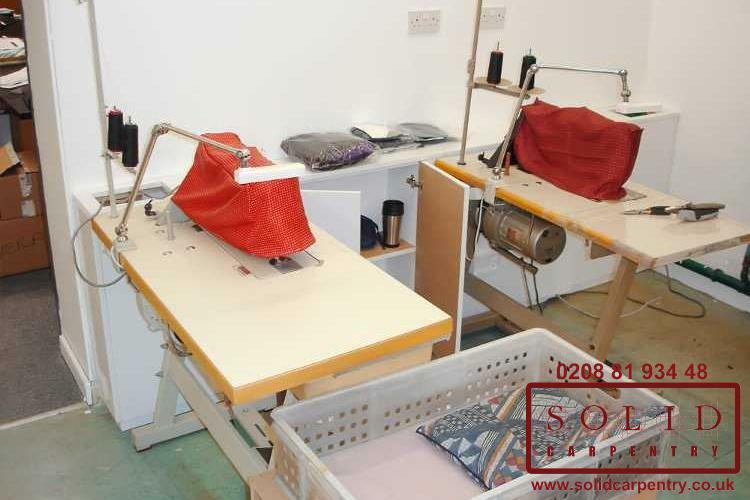 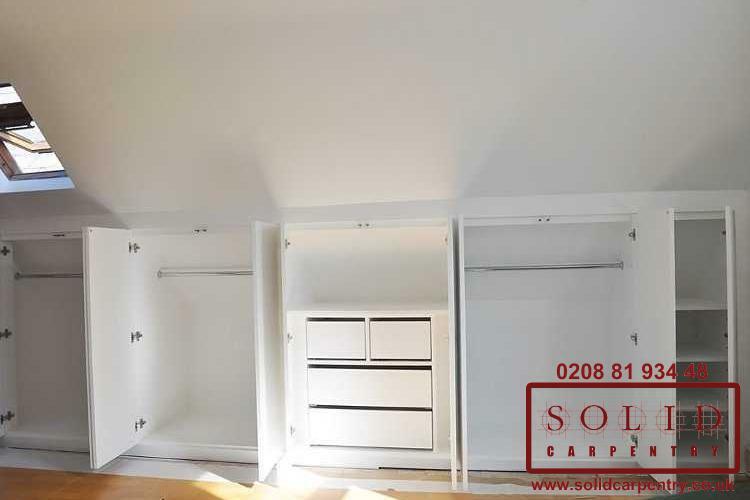 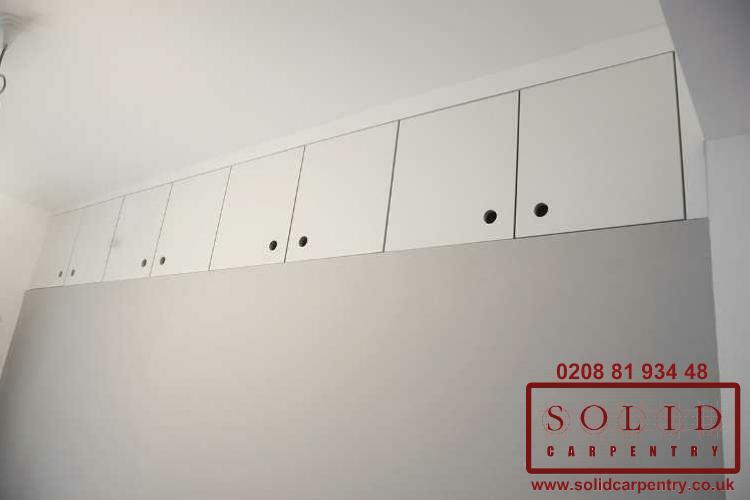 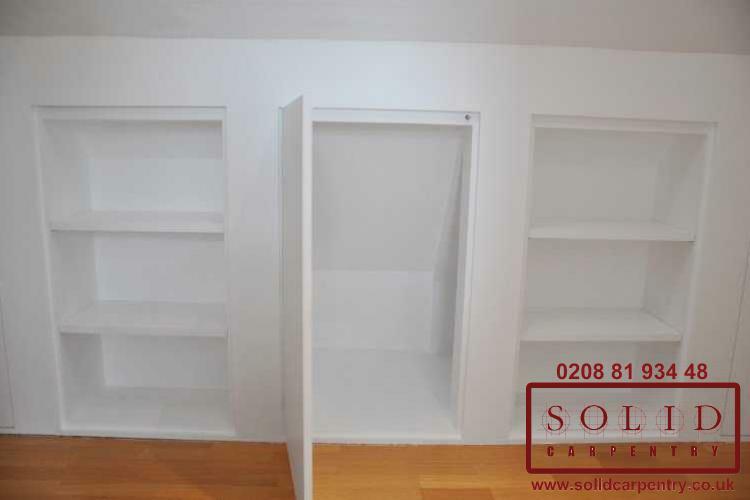 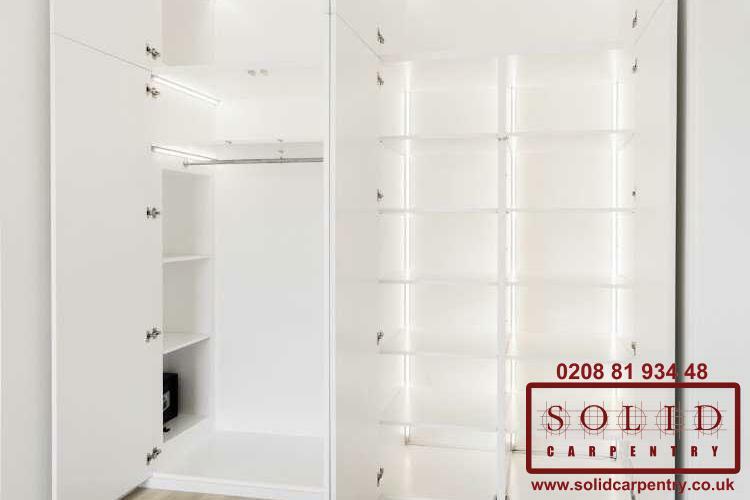 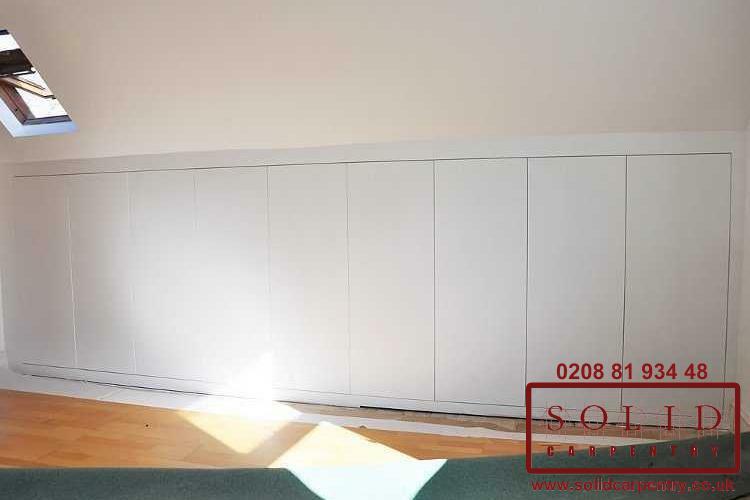 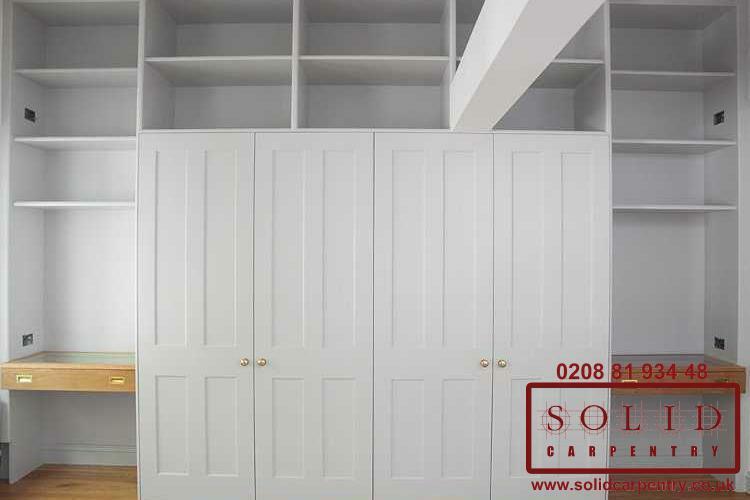 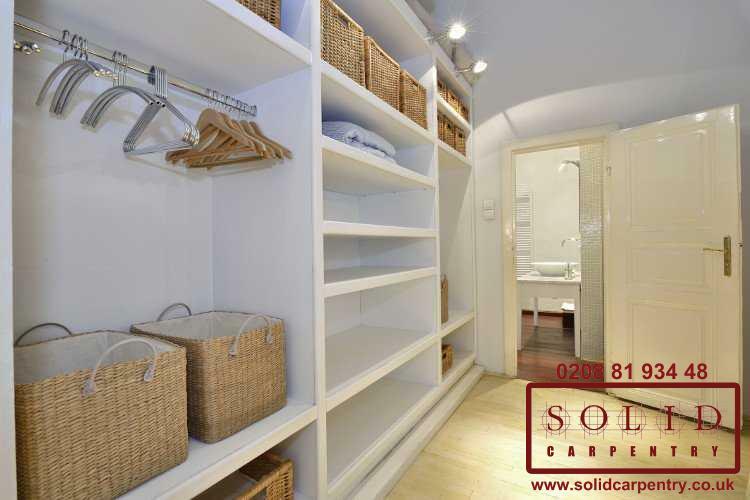 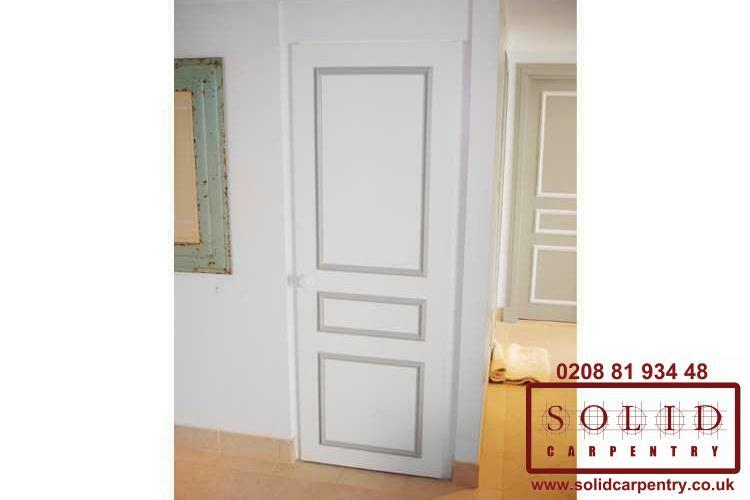 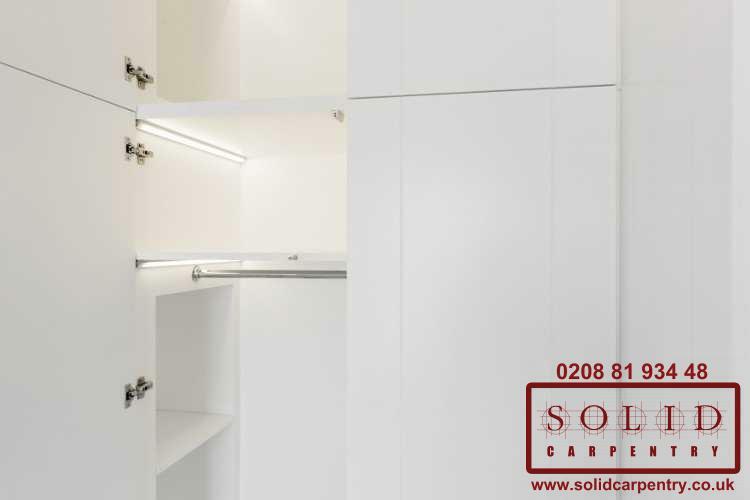 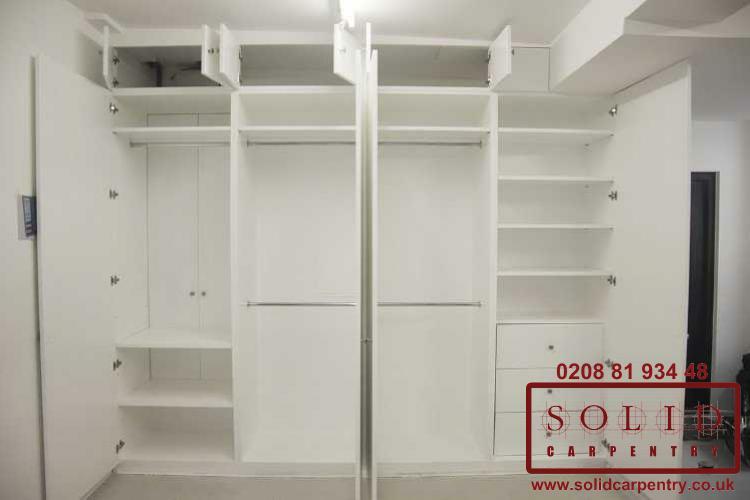 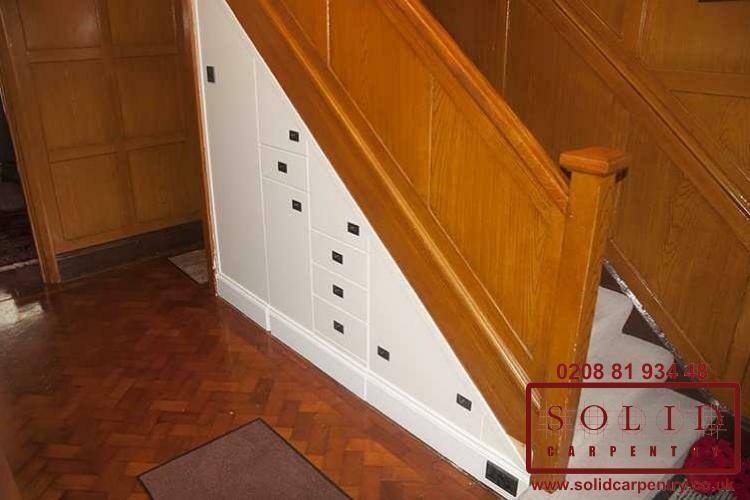 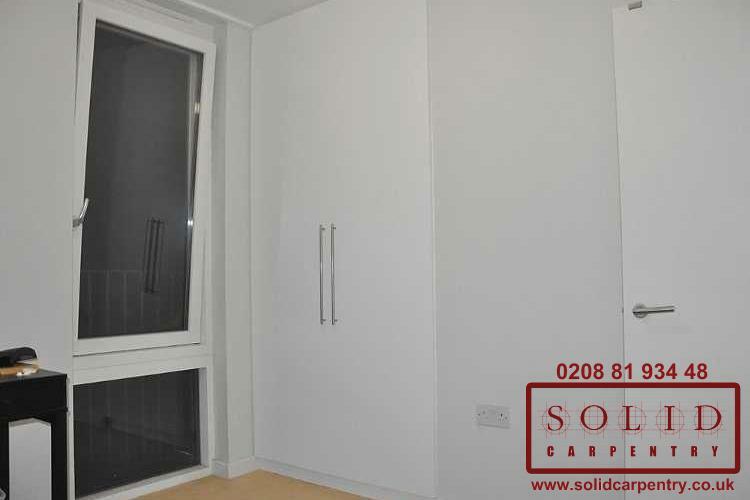 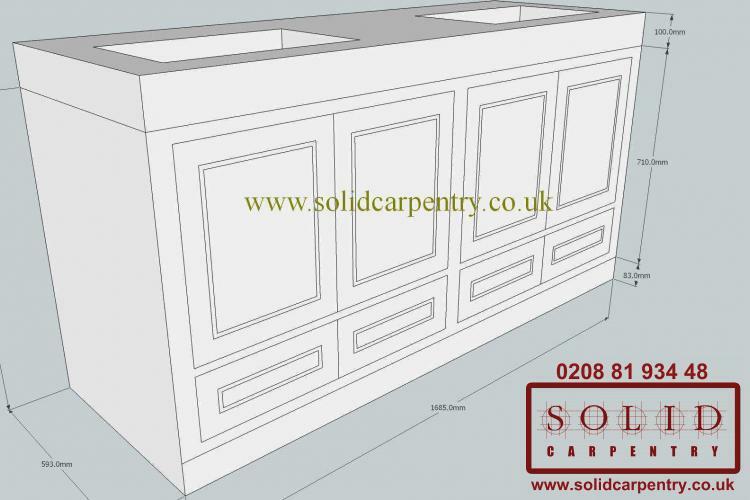 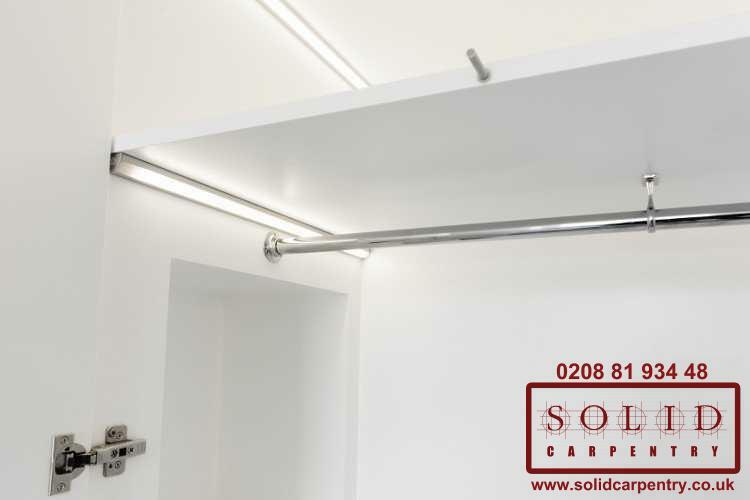 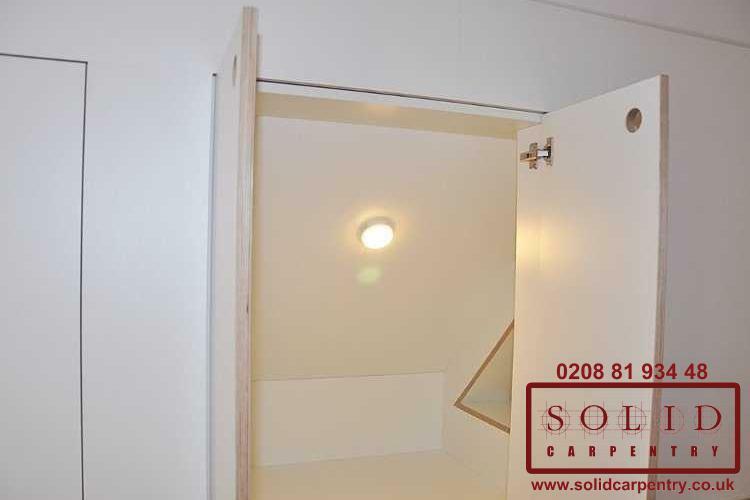 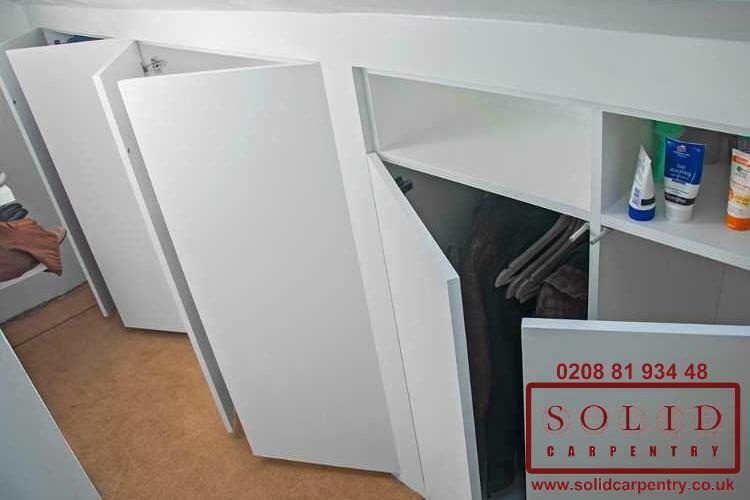 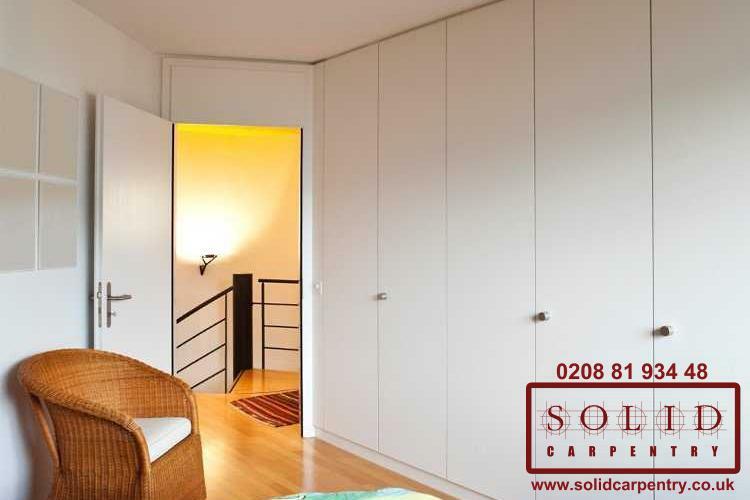 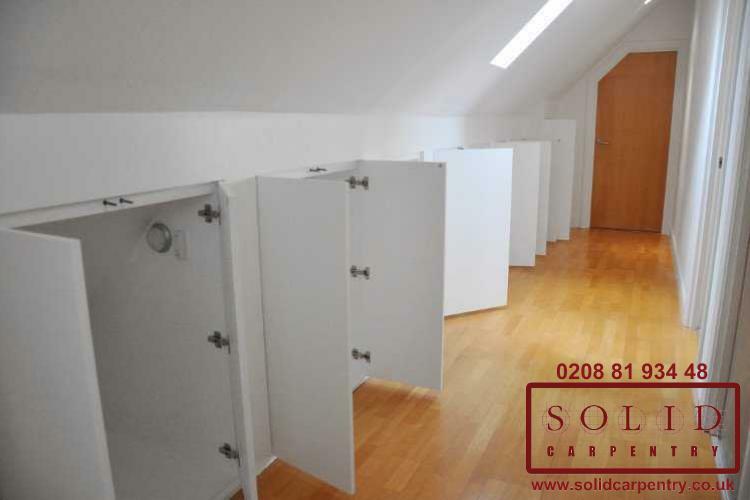 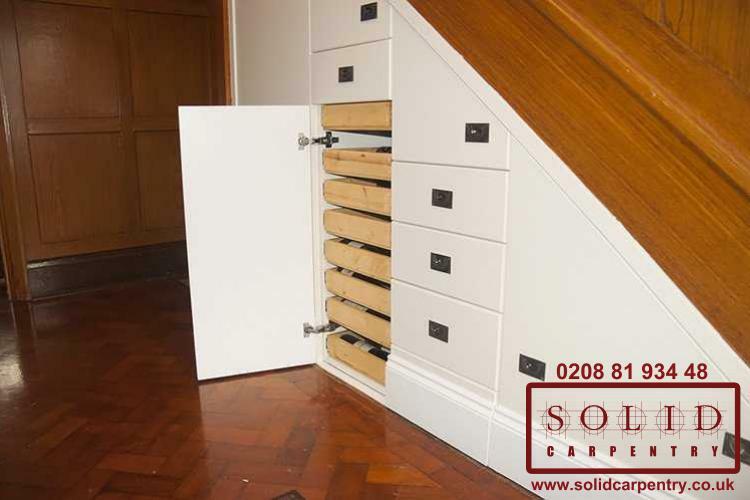 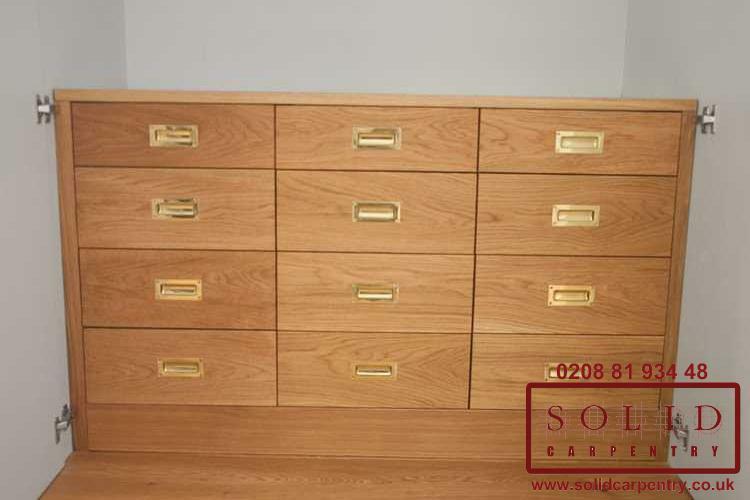 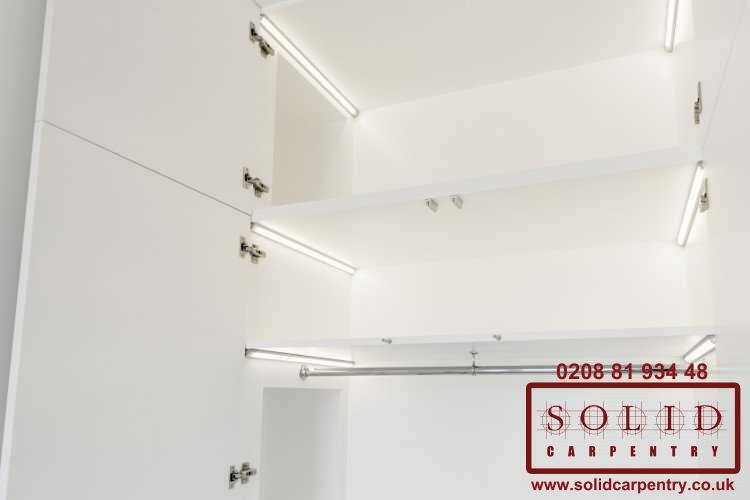 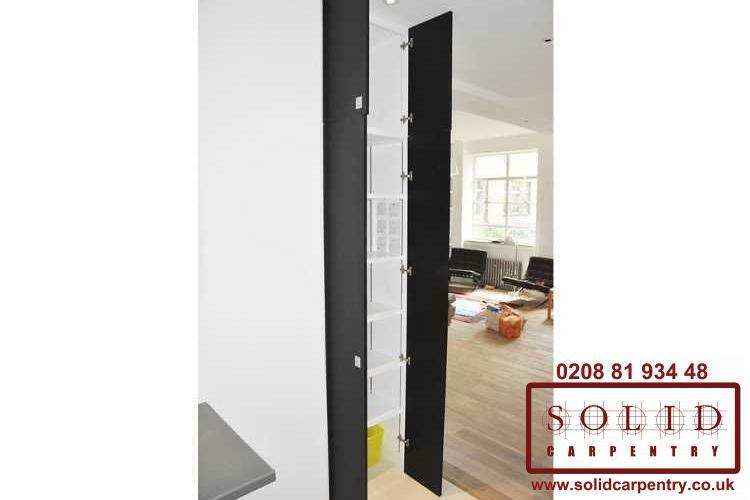 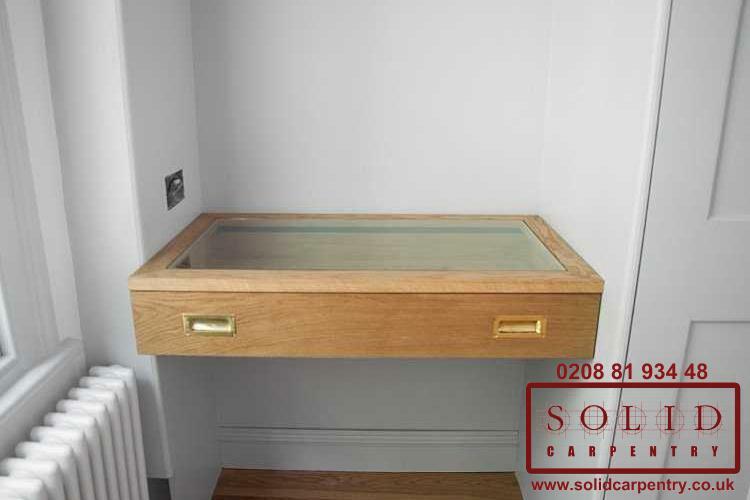 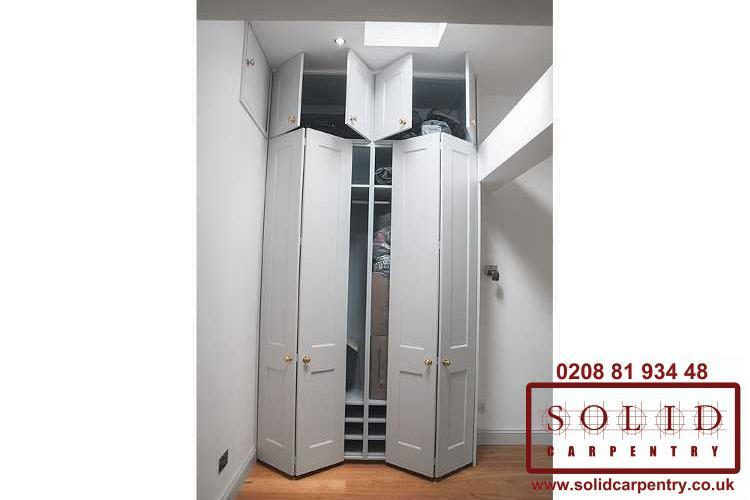 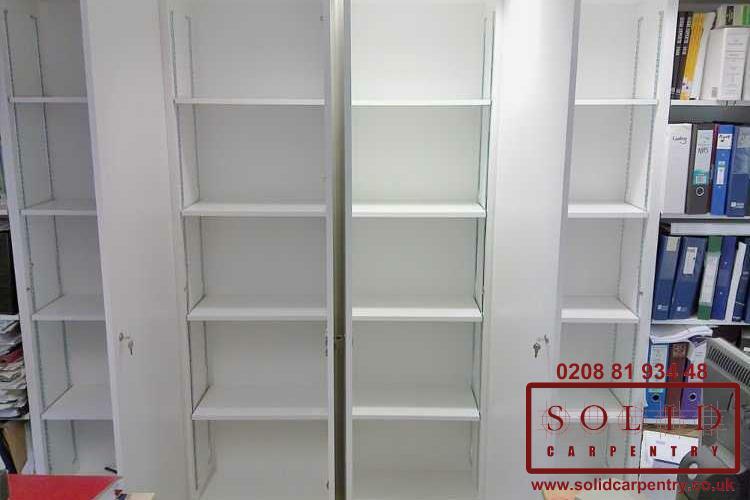 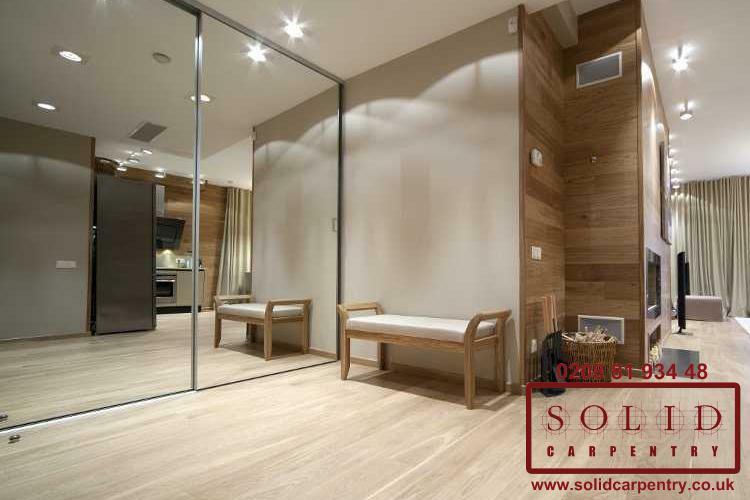 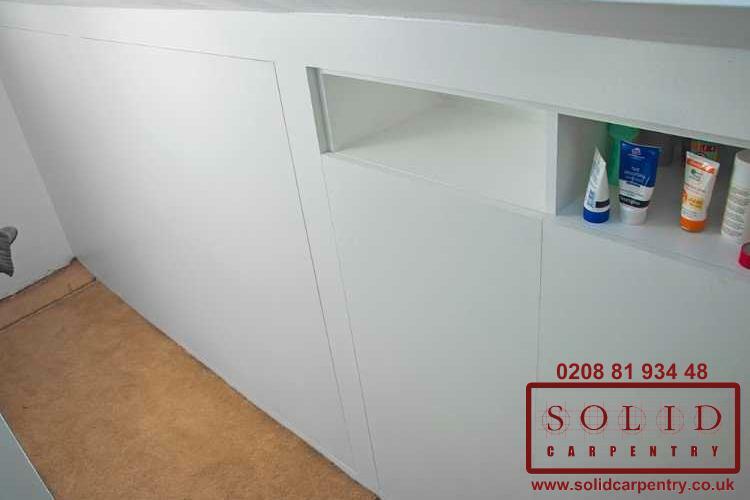 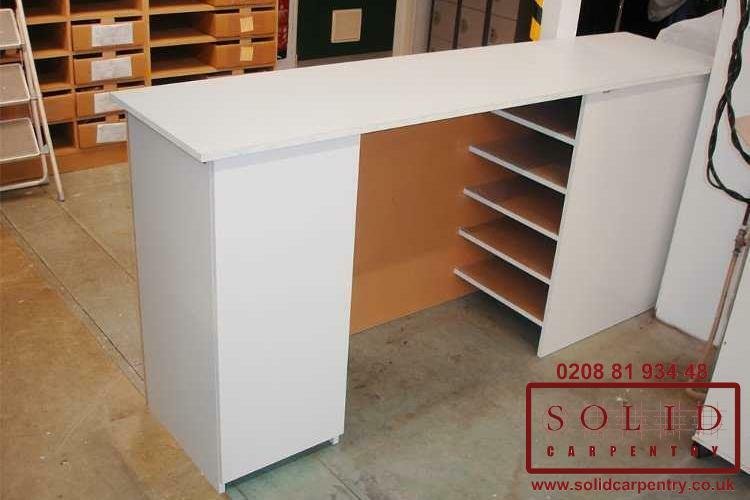 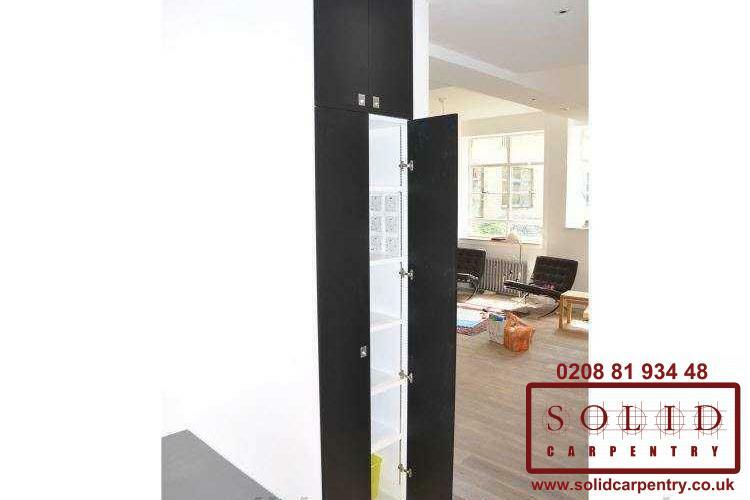 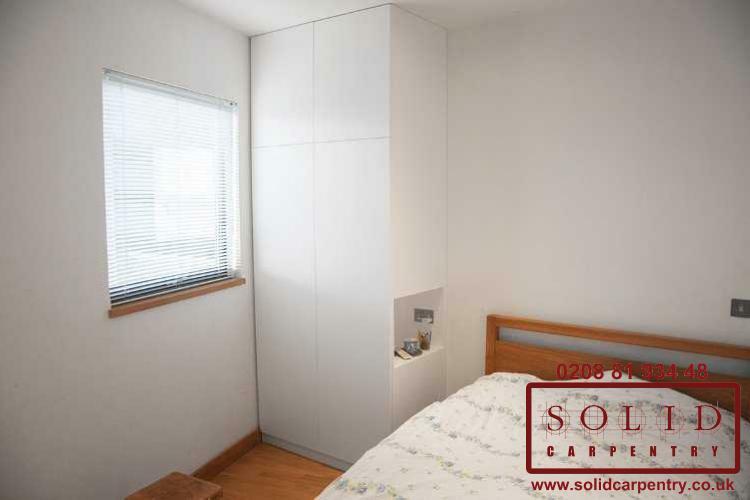 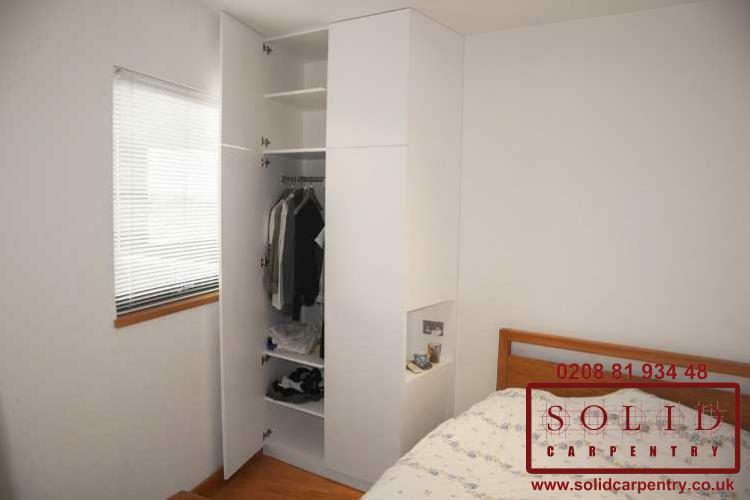 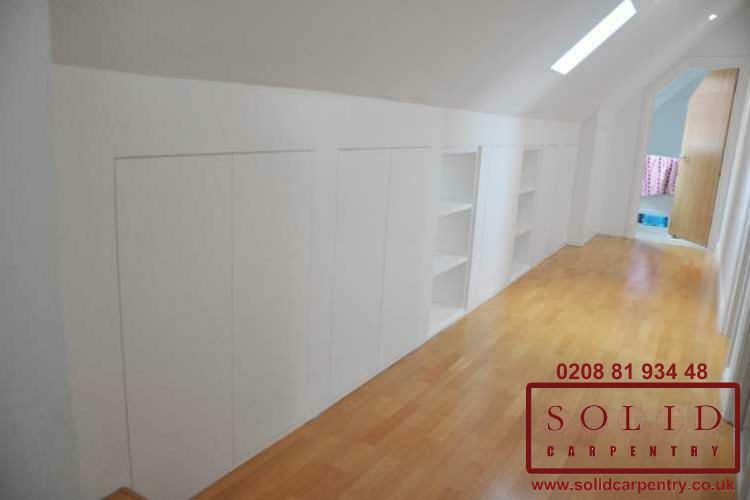 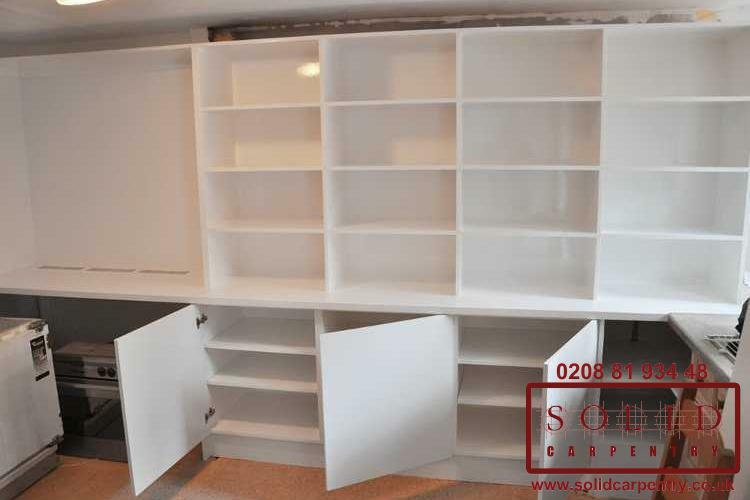 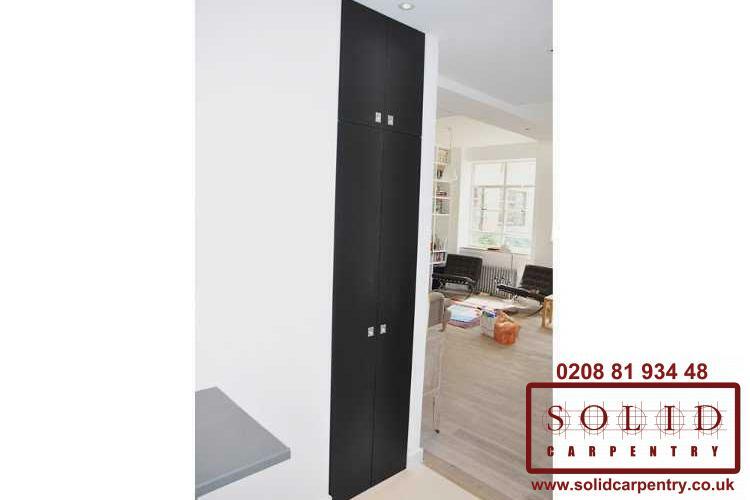 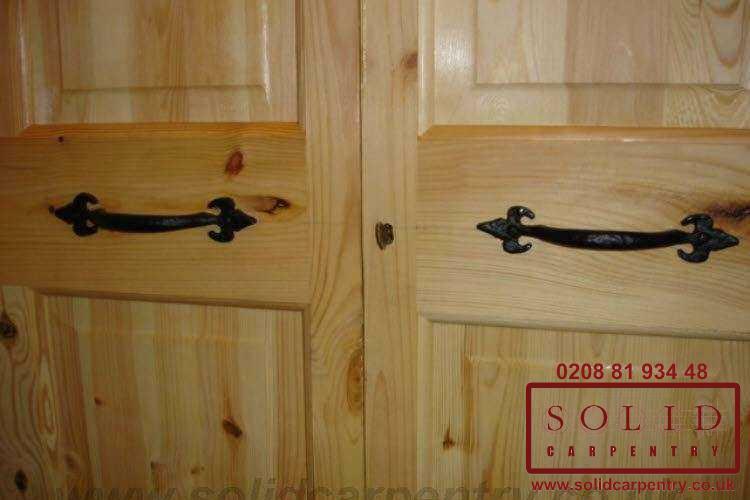 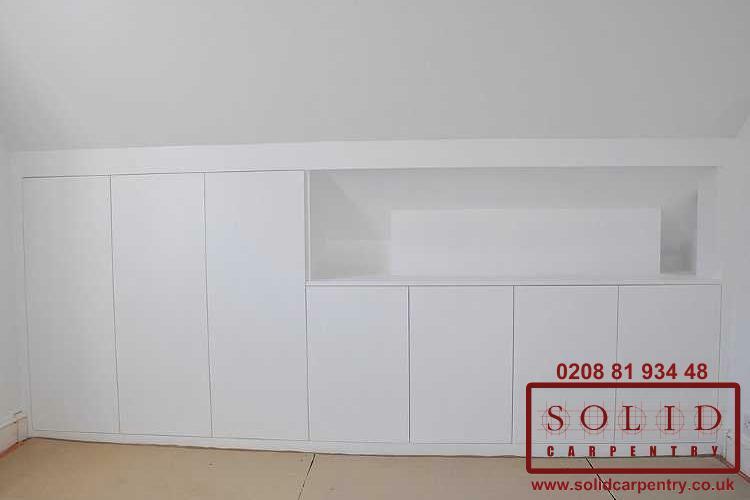 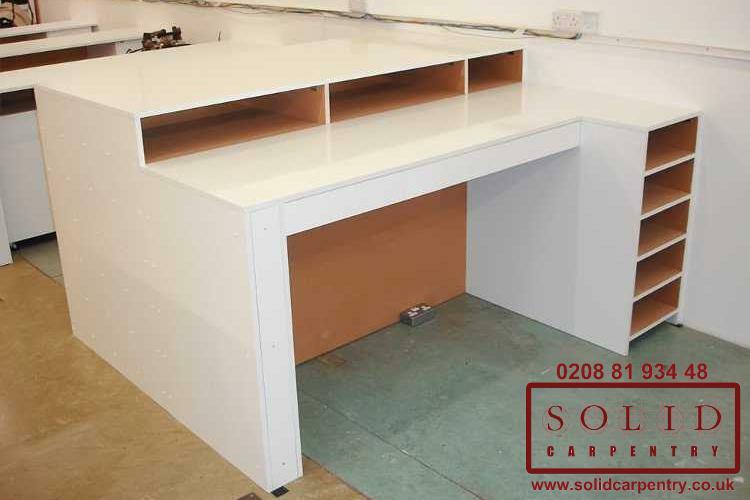 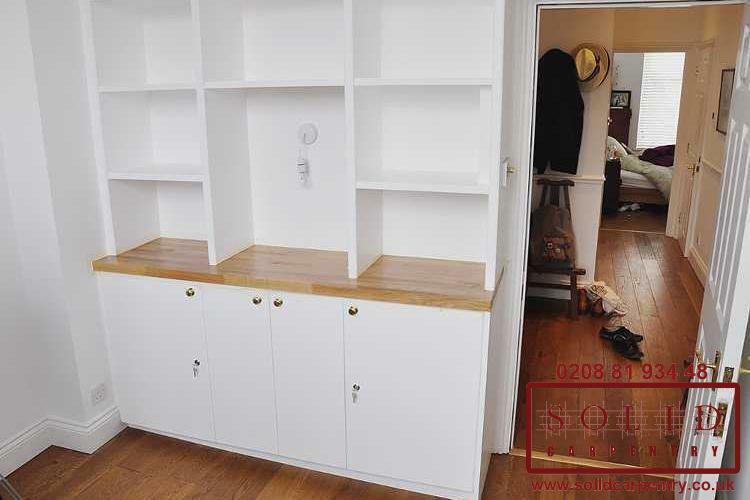 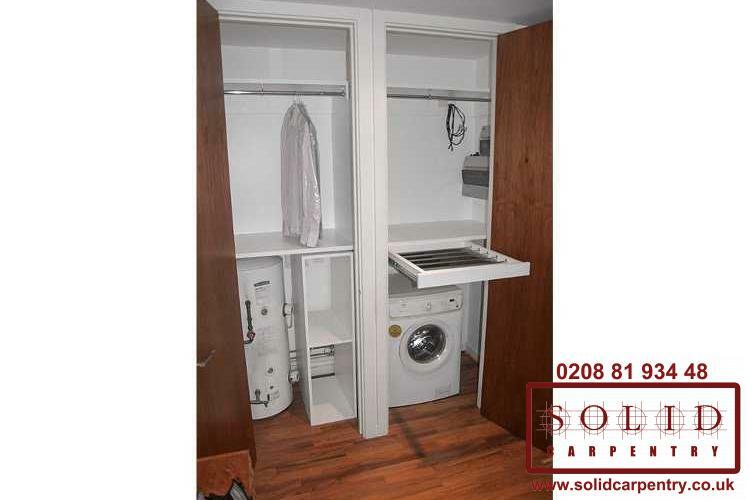 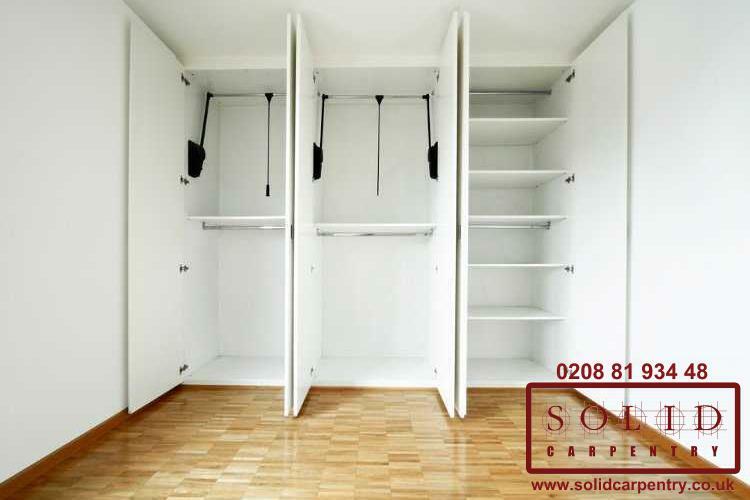 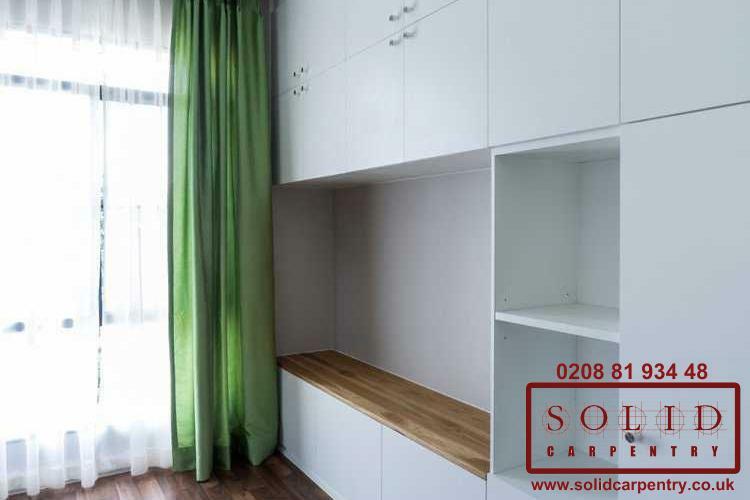 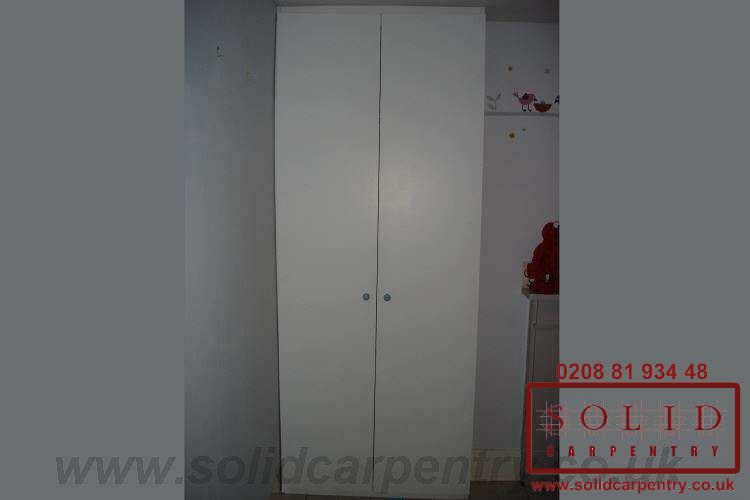 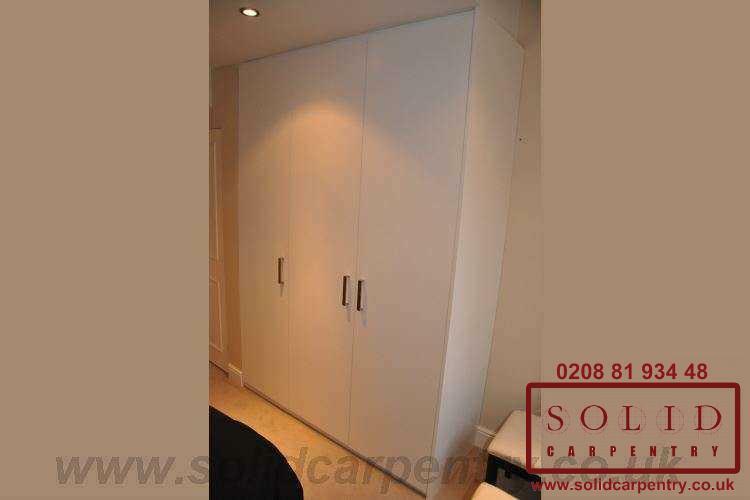 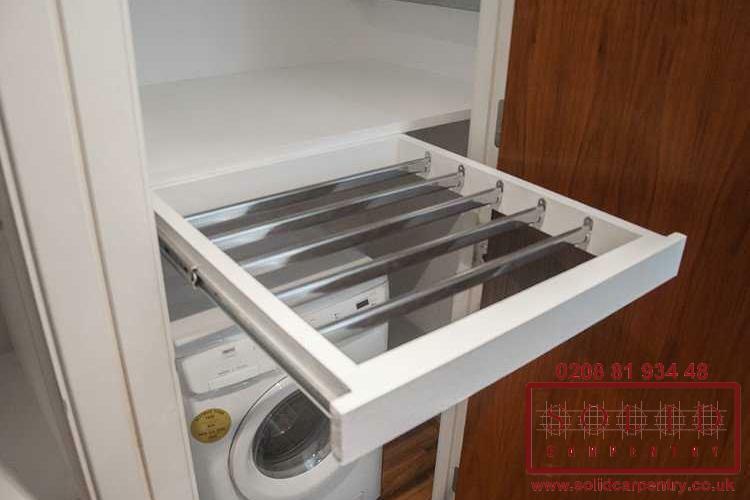 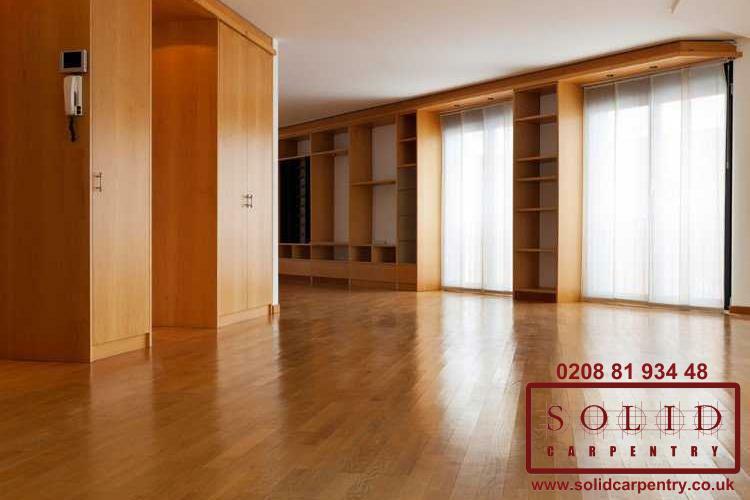 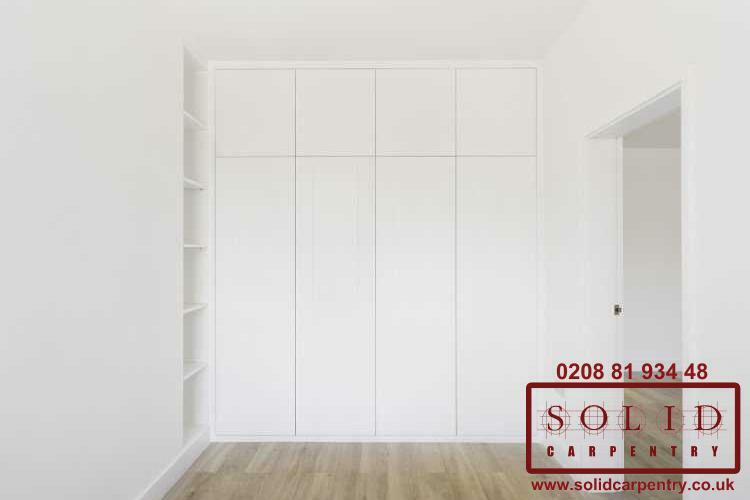 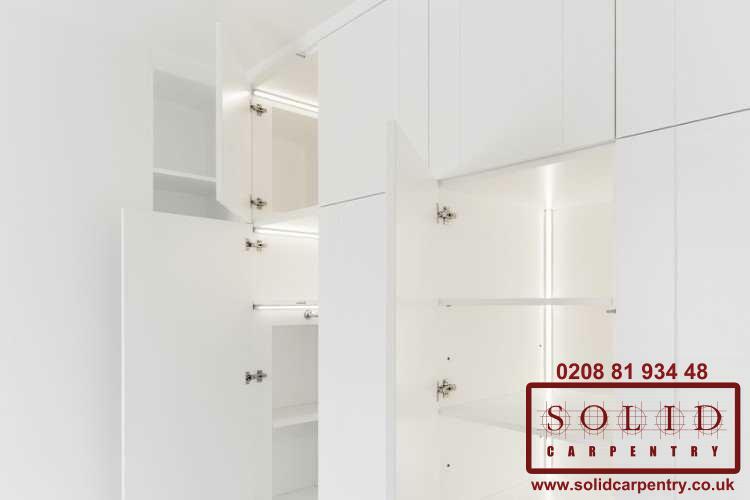 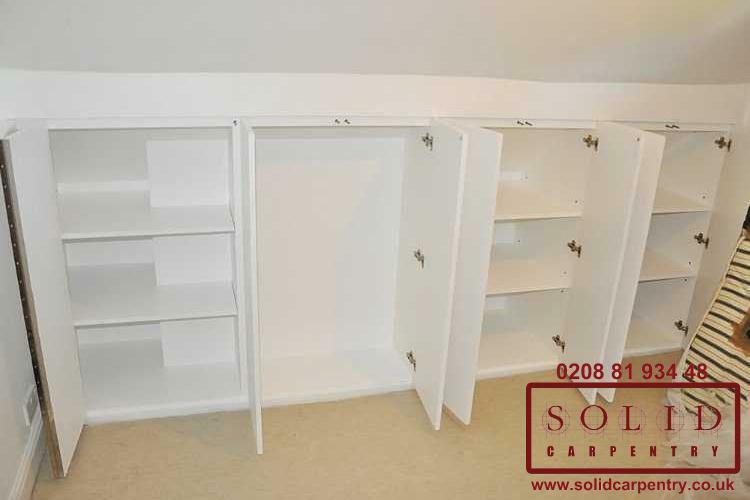 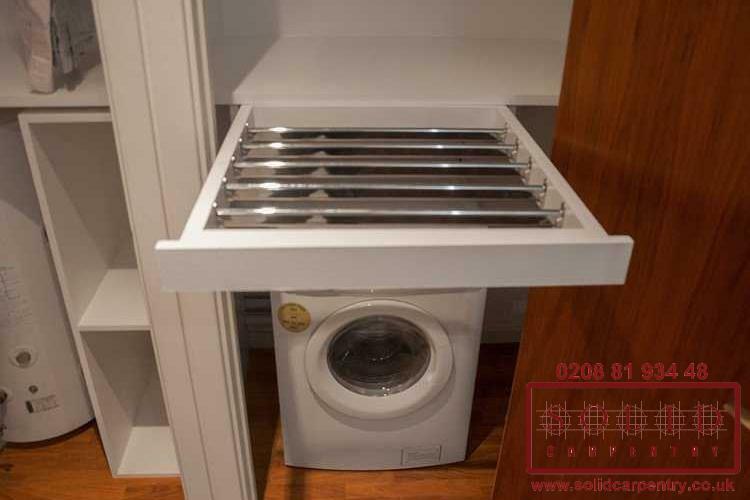 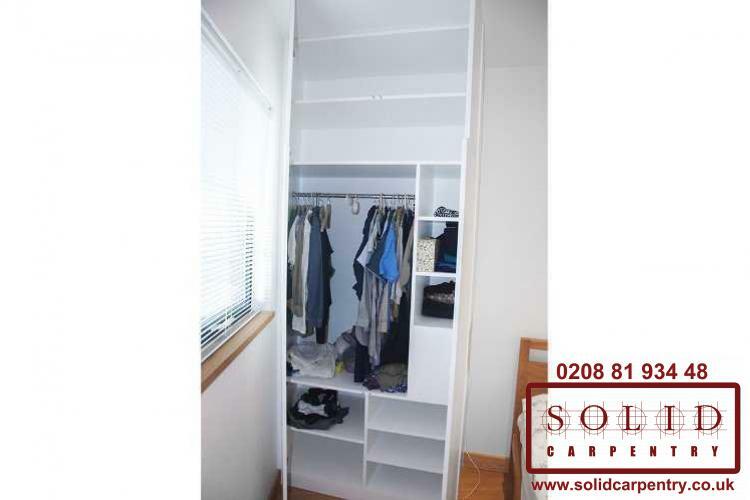 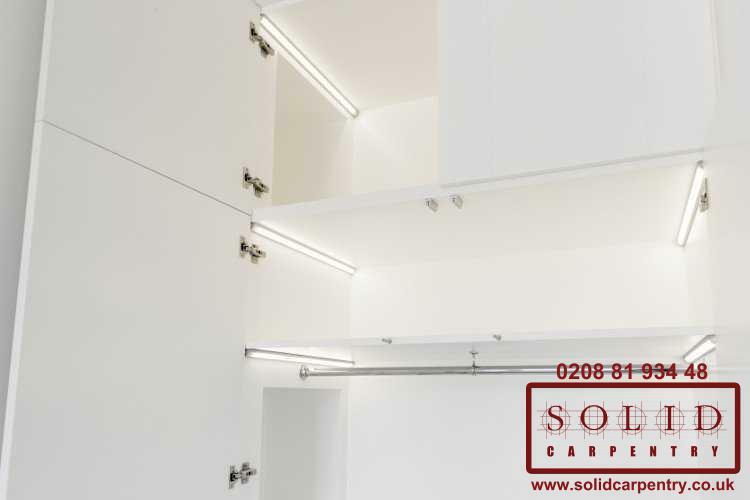 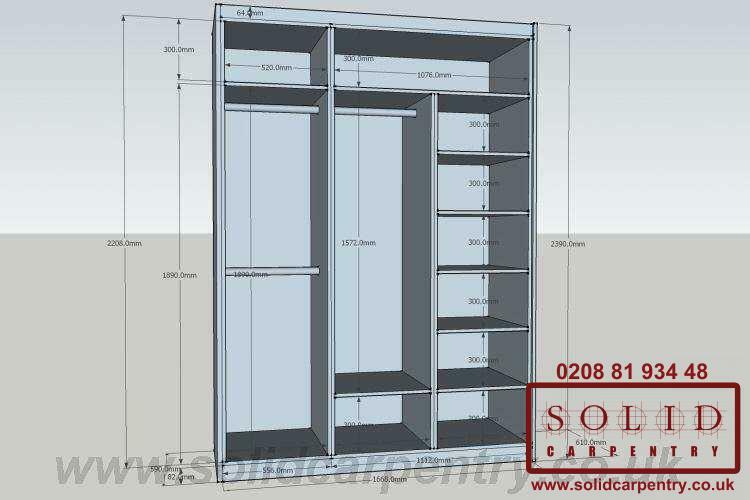 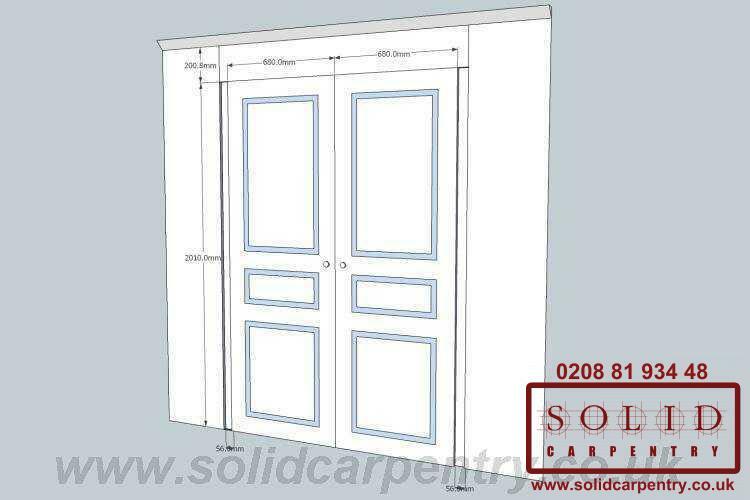 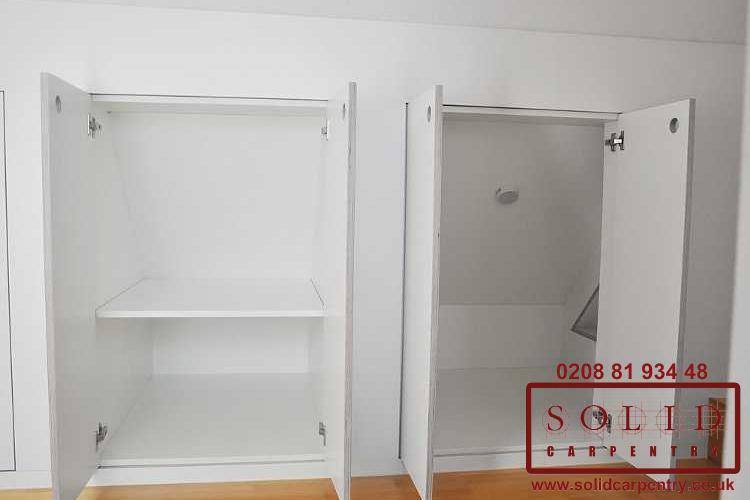 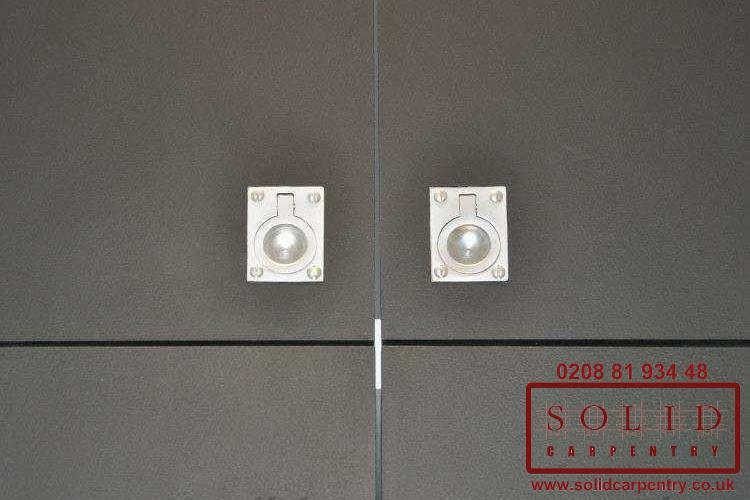 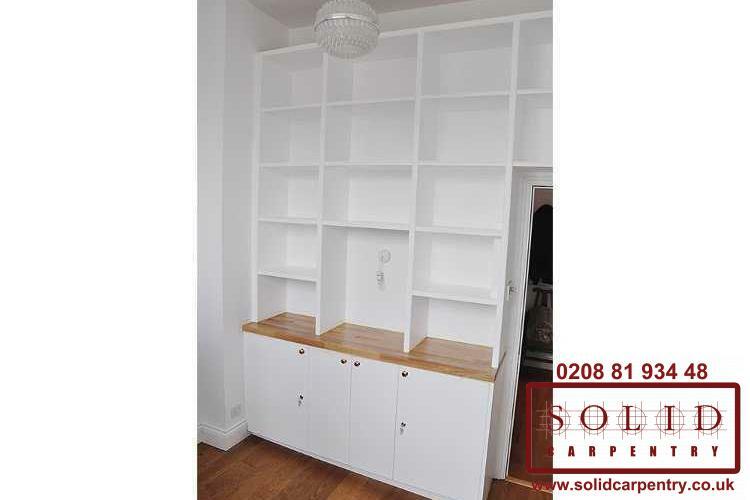 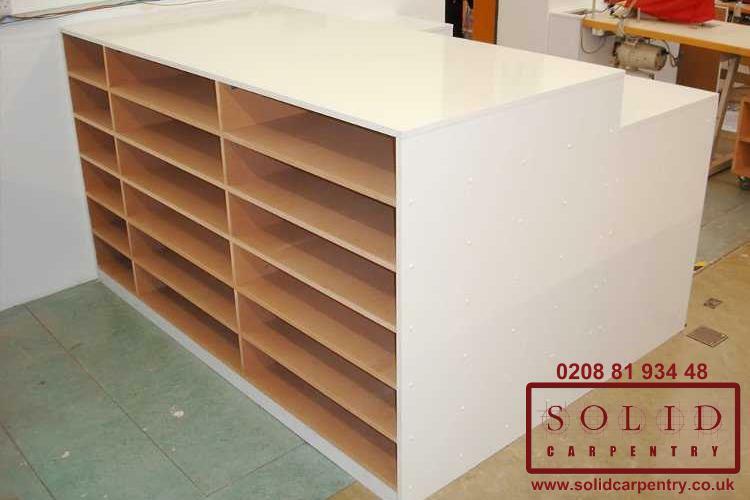 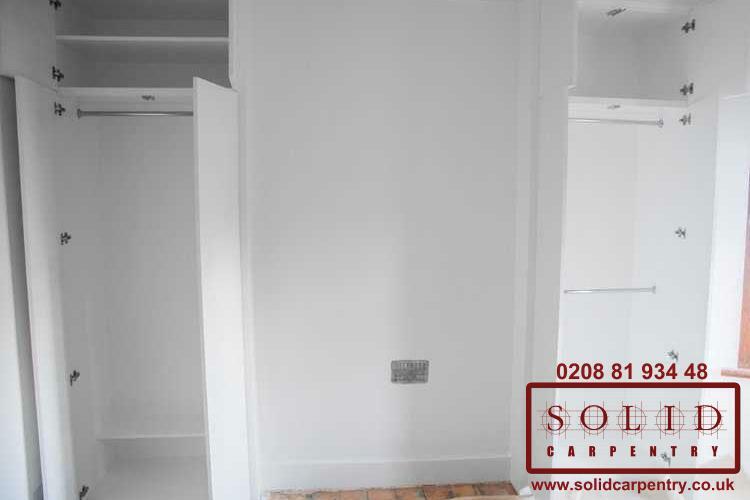 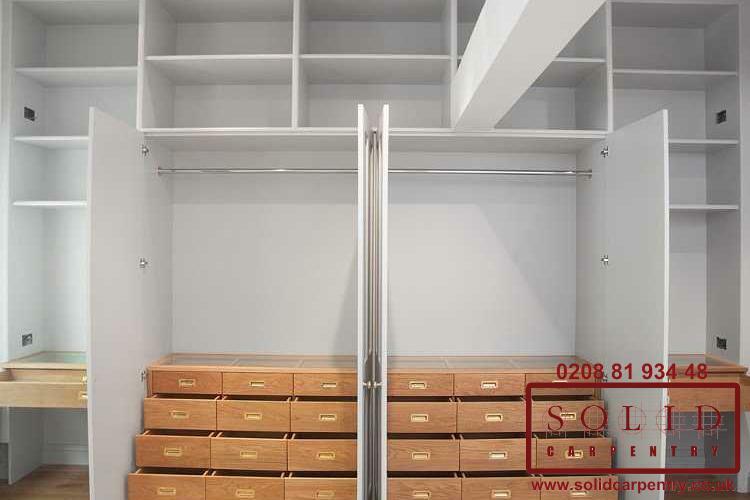 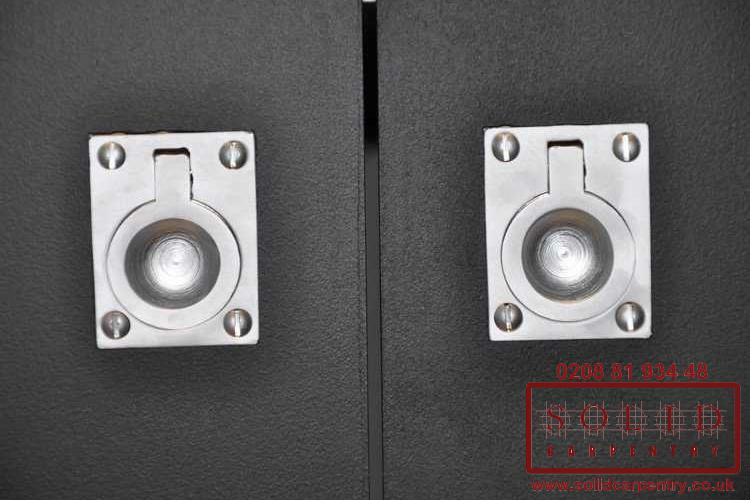 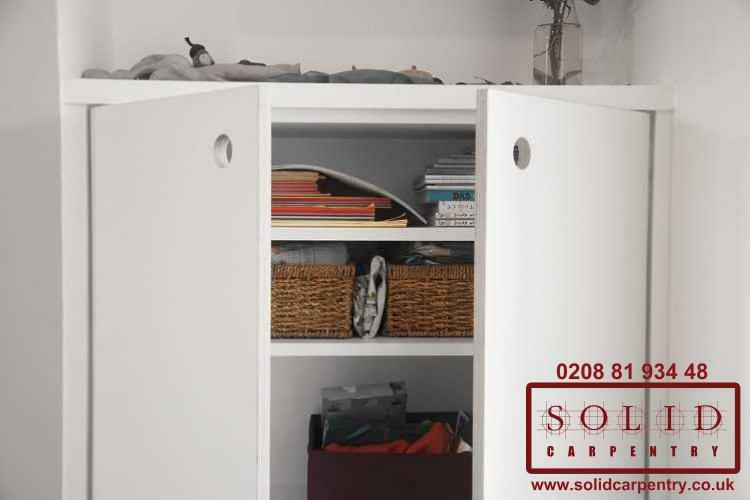 If you are looking for a custom designed, built and correctly fitted cupboard for your boler, please do not hesitate to contact Solid Carpentry online or call 0208 8193448 for a no obligation quote.